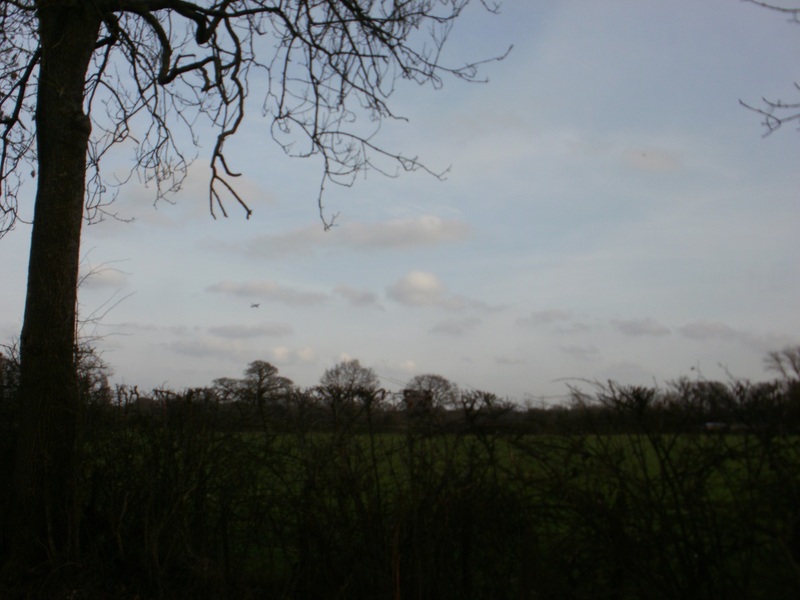 We were back on our self-invented long distance walk from Sandhurst (Berkshire, home of the Sandhurst Military Academy) to Sandhurst (Kent, near Bodiam Castle). Starting from where we left off, we had a short walk through a suburban estate, with the smell of aviation fuel, the roar of jets taxiing, and low flying planes overhead. I don’t think I would like to live here! Crossing the railway line very close to Gatwick Station, we reached fields, though it was still just as noisy as we were walking parallel to the M23 spur leading to the airport. 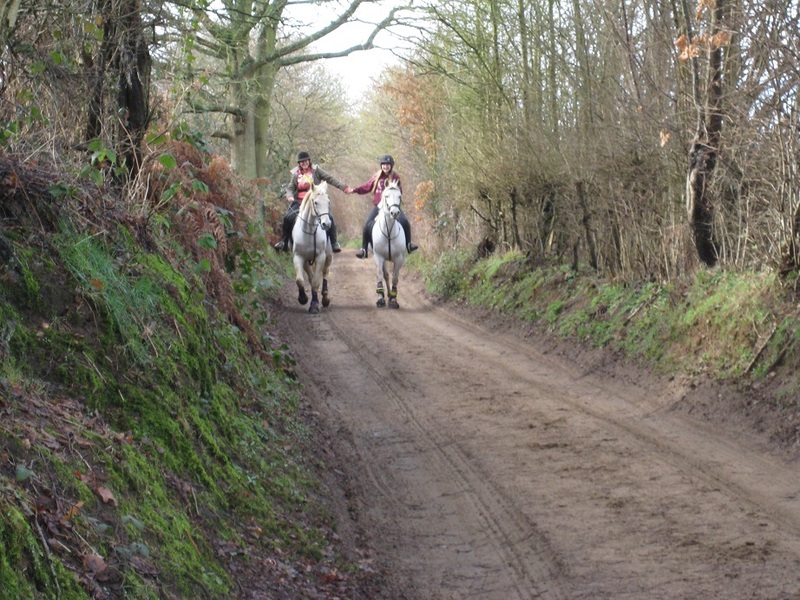 A mile or so on, we reached the first two caches of the day, around the perimeter of a field containing two horses. While retrieving these, there was a loud metallic clatter from the motorway, the horses galloped away in fear, and we looked up to see the traffic at a halt and people running up the hard shoulder to collect something from the carriageway. It looked as though something had fallen off a trailer, but there was no harm done except for a short traffic hold up. 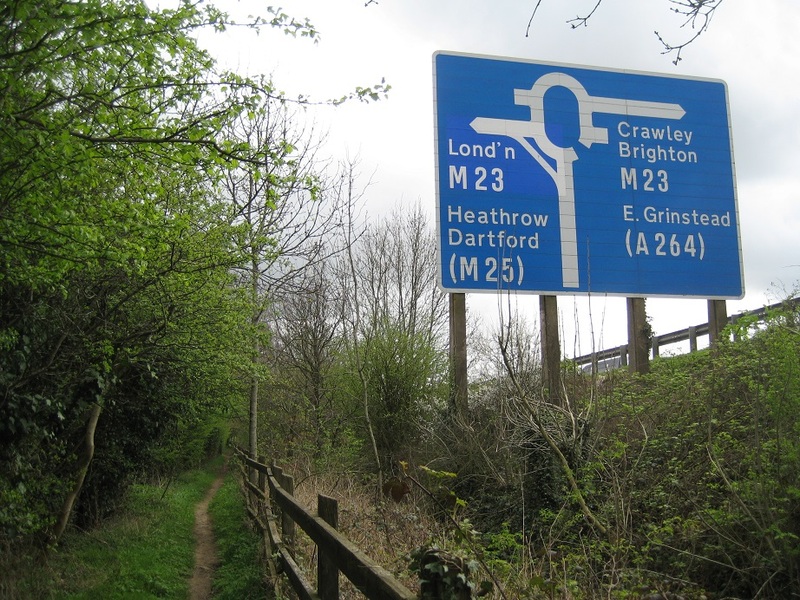 At last we crossed under the M23 and started to walk away from it, and the road noise began to diminish … to be replaced by aeroplane noise. We were right underneath the flightpath for planes landing at Gatwick. They were low enough, and close enough, that we could read the airline names, the company identification (mostly FlyBe) and count the windows on the side of the planes. Emerging onto a small lane, we spent quite a few minutes looking for three more caches – one in plain view, if we had just looked in the right direction – one at full fingertip stretch up a road sign – and one under a bridge over a stream, which we declined as we didn’t fancy wading. 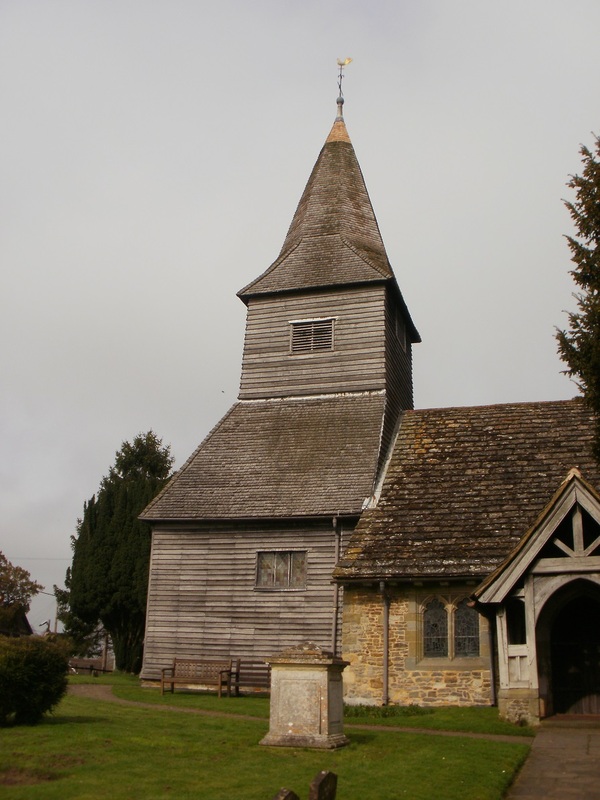 Our next destination was Burstow, a hamlet with a stone built church with a wooden belltower – apparently the tower moves when the bells are rung. A Church Micro accompanies the location, so we sat on a seat to eat our lunch and to work out the coordinates for the cache. It was peaceful but not quiet, as planes roared overhead every few minutes. 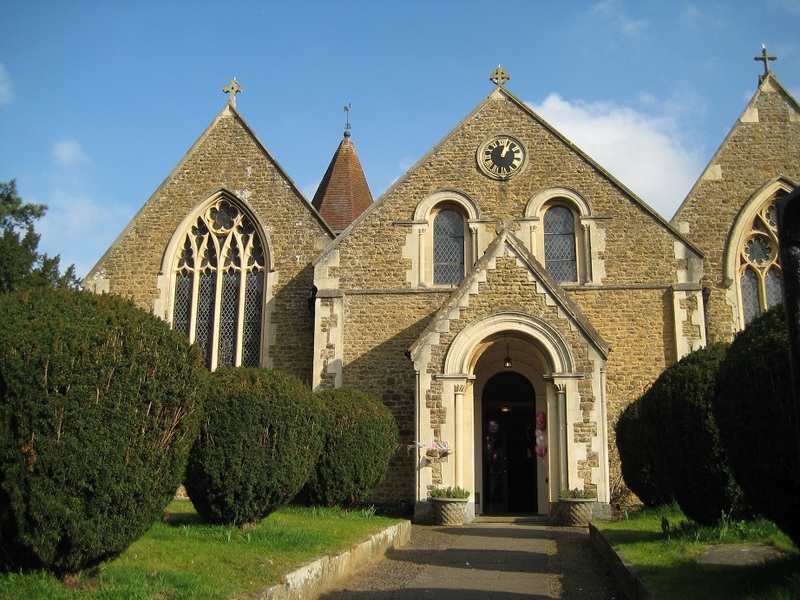 Apart from the moving church tower, the church had a famous rector, who is buried in the chancel – he was John Flamsteed, first Astronomer Royal. 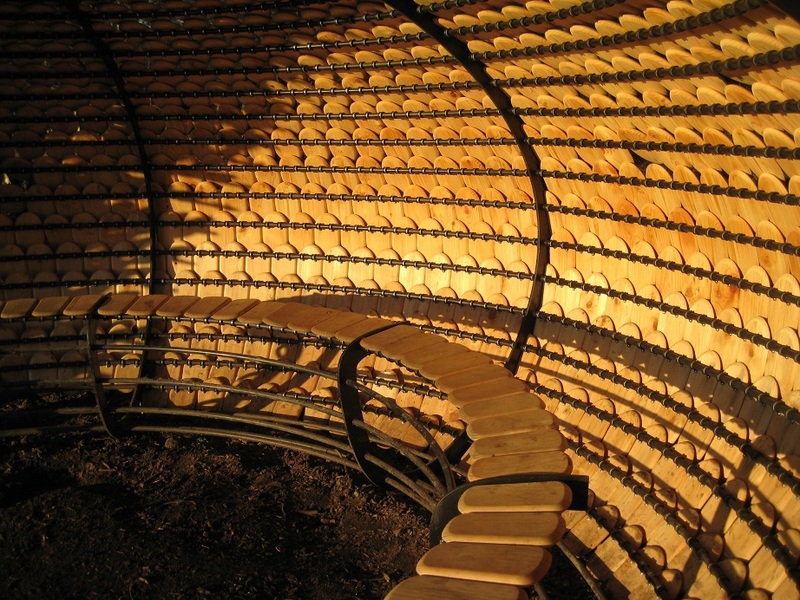 ‘The Toxic Pens have been brightening up logs one cache at a time with their luminous script. Known for their colourful stationary and vibrant pens…. Not long after, we turned off the busy road (phew!) 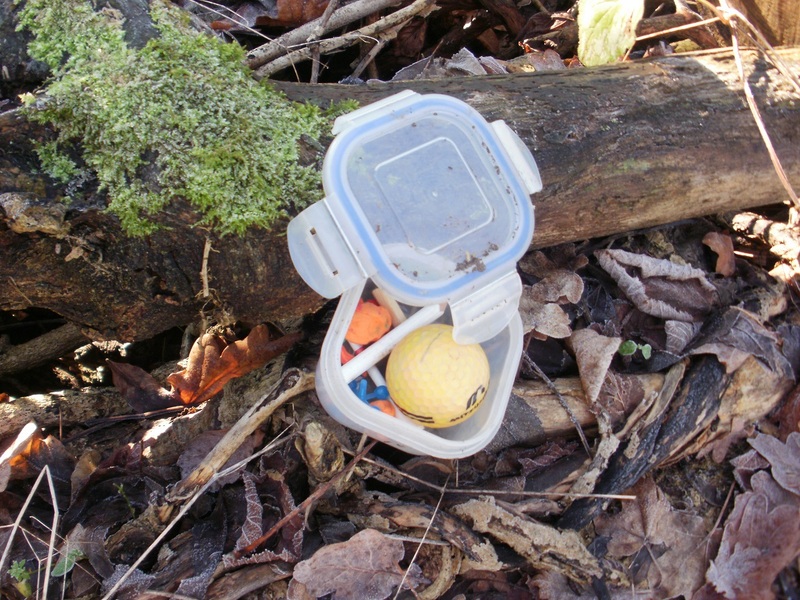 and found/failed to find more colourful caches from the same series. 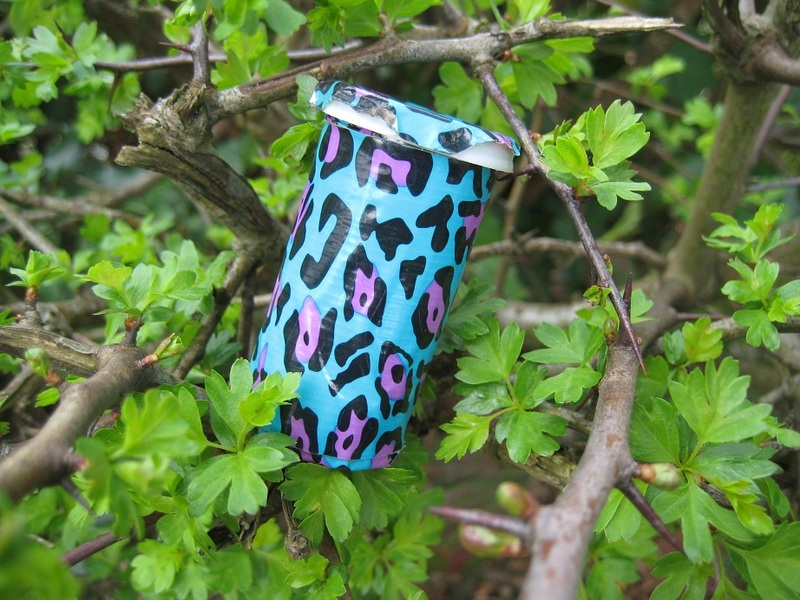 They did add a splash of colour to the usual camouflaged caches that one finds, but some of them were a quite … visible … but a nice twist on the caching theme. 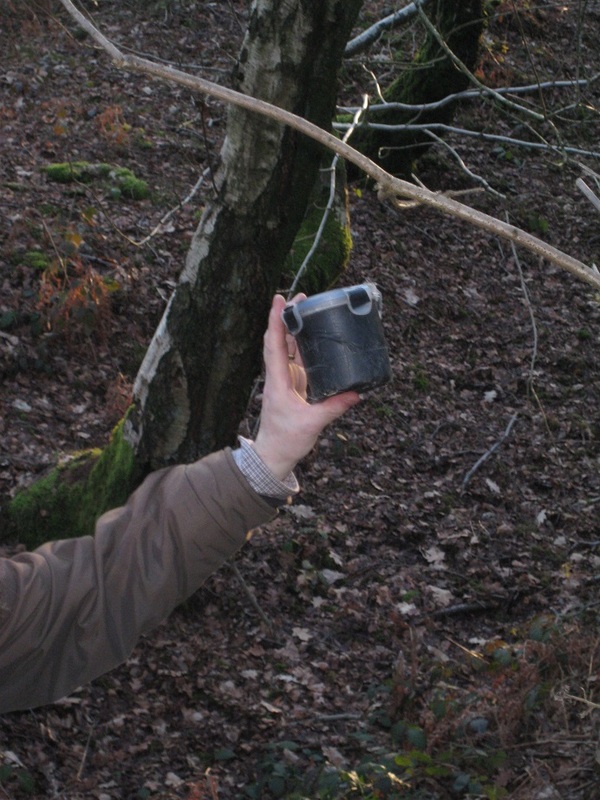 And part way through the bright series – ‘Toxic Birch’ – we reached our 1800th cache, so a small celebration took place, unoverlooked, on a rural path. By now it was quiet. We weren’t under the flightpath any more. We next walked down a quiet, empty country lane towards our next cache, another Church Micro based on the school chapel of a private school. There do seem to be a lot of private schools around here! We had about two miles left to the end of the day’s walk to Crawley Down, and all had ‘Rowfant’ somewhere in the title. 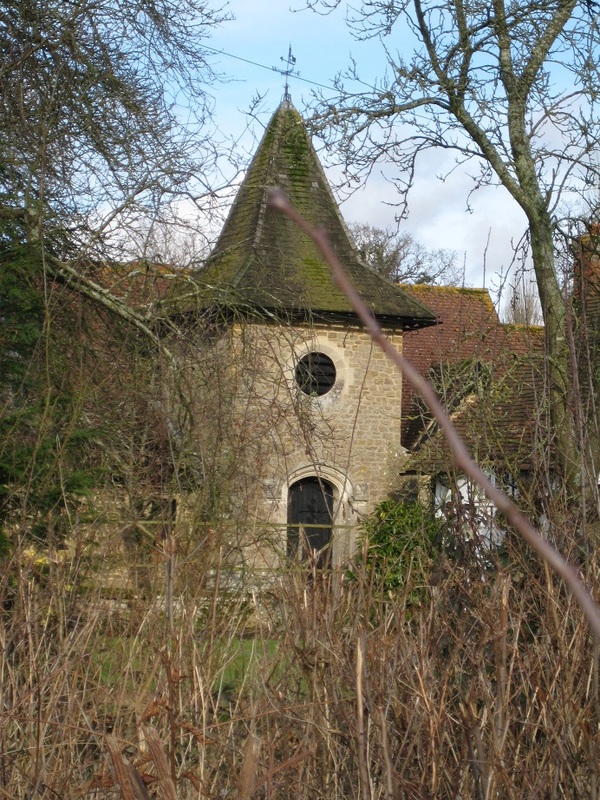 Rowfant House a nearby Tudor mansion https://historicengland.org.uk/listing/the-list/list-entry/1354912 At one time it even had its own railway station, though the line is now closed and forms part of the Worth Way https://en.wikipedia.org/wiki/Worth_Way This is popular with walkers, dog walkers, and cyclists, and leads all the way into Crawley Down, the end of our route for the day. This year we have been fairly lucky with our caching. We have found nearly every cache we have attempted. It started badly and never really recovered. 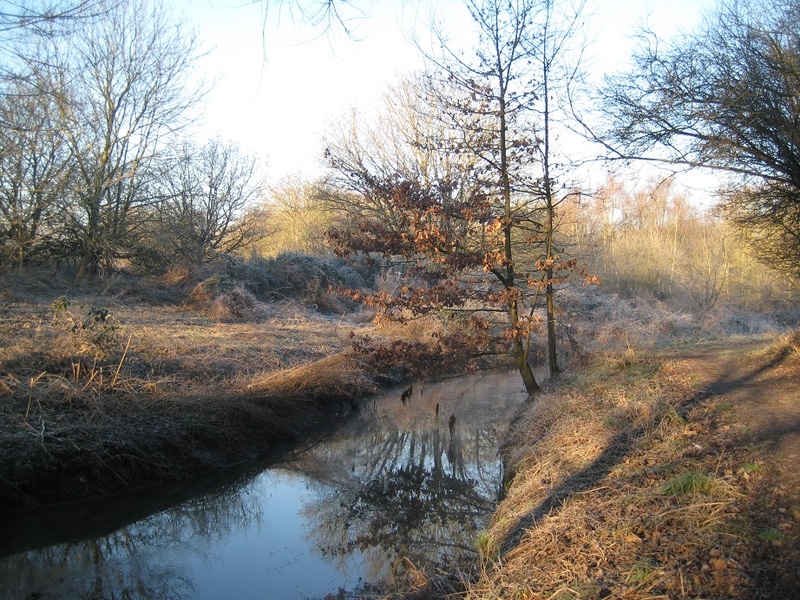 The village of Beare Green, as we noted in our last Sandhurst to Sandhurst post, has several caches hidden in its boundaries. We attempted three and failed on each one ! A muddy path.. but will it lead to a cache ? The first was a Sidetracked Multi. We had collected the information on our prior visit, and set off down a muddy footpath, and arrived at two likely hosts (and since the hint was ‘multi-trunked-tree’) we split up and searched both. To no avail. 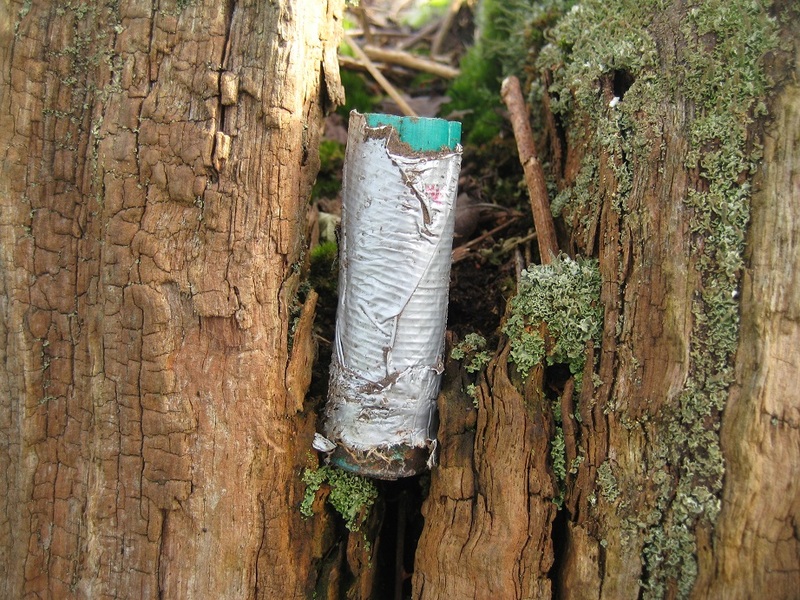 This cache hadn’t been attempted since last October, so maybe the Autumn and Winter had been unkind to it. 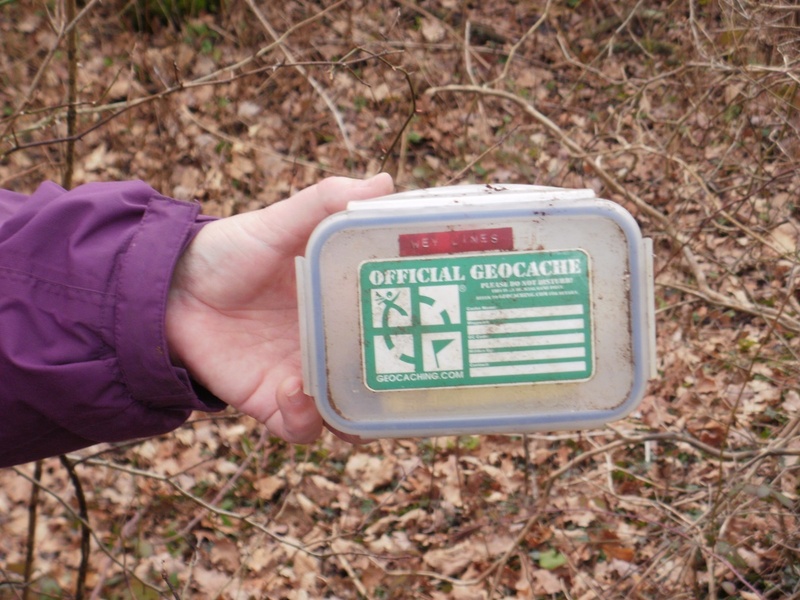 Sadly the cache would have contained the co-ordinates to another cache..so a double-DNF-whammy! 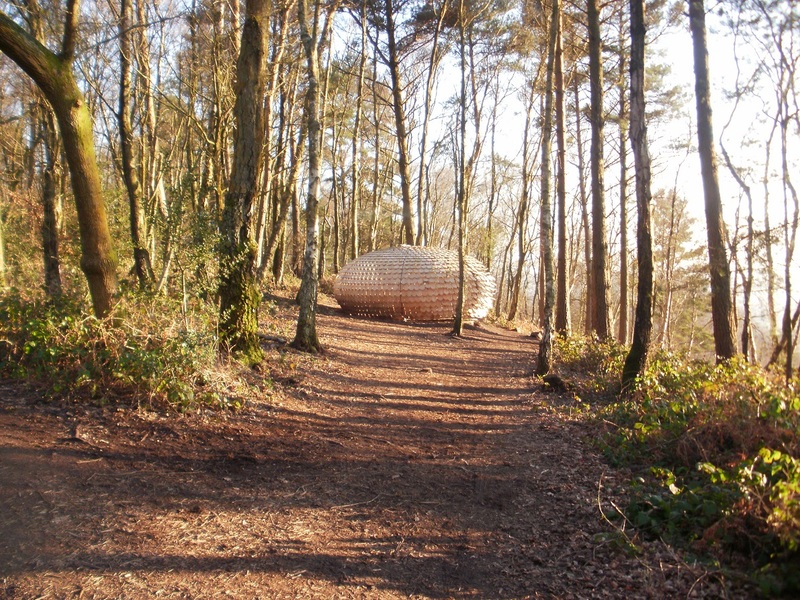 It was therefore with some trepidation that we arrived at Ground Zero for ‘White Rabbit’. 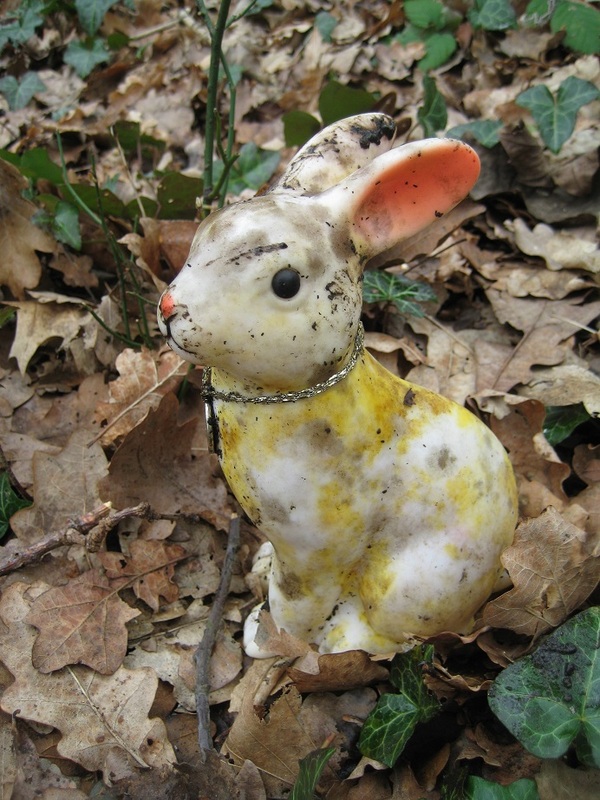 Hidden in a camo bag, in a pile of mud was indeed … A WHITE RABBIT. We pulled the rabbit out of the hat, sorry bag, and gratefully signed the log. 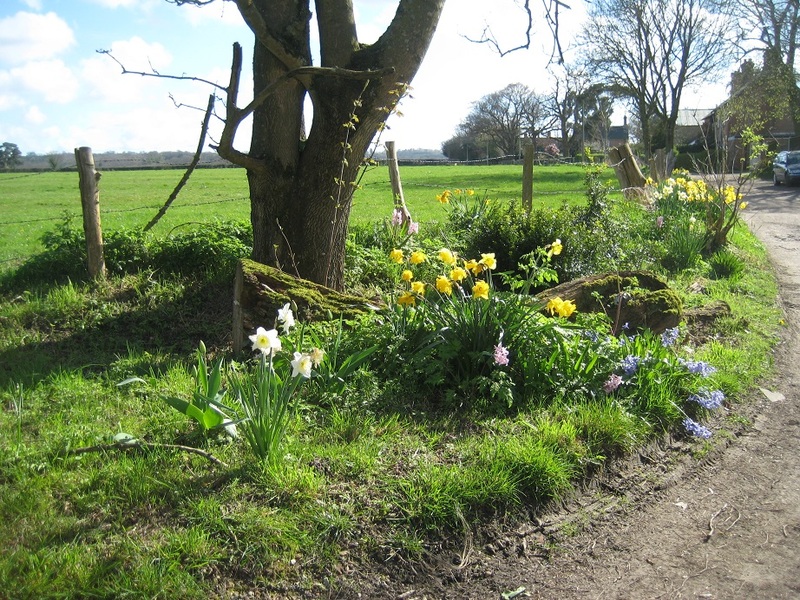 Our route then took us away from the ‘Alice’ series, and after walking through some very muddy woodland, jumping over a deep drainage ditch onto a lane, walking across a field and then realising the footpath we wanted wasn’t signposted, we somehow found ourselves on a farmyard track. 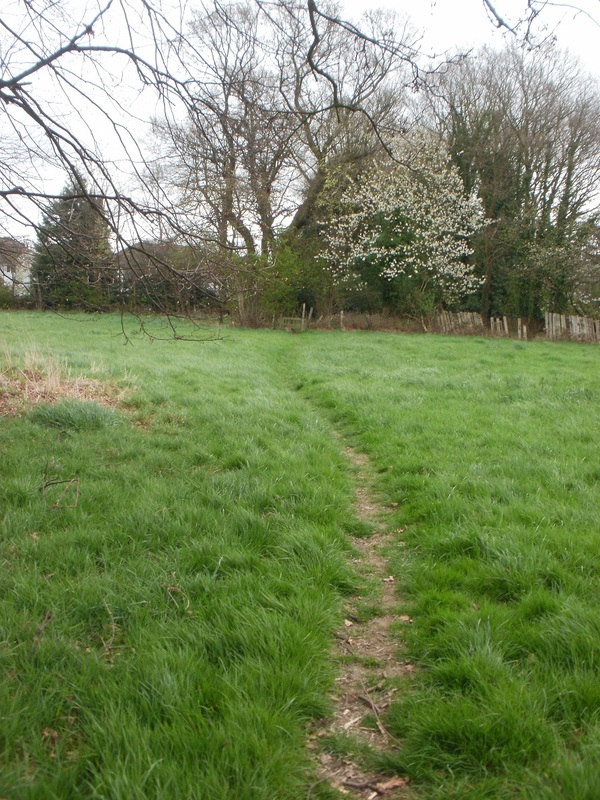 (As well as failing to find caches, we were failing to find footpaths too!). After a somewhat poor start, we decide to stop for coffee. 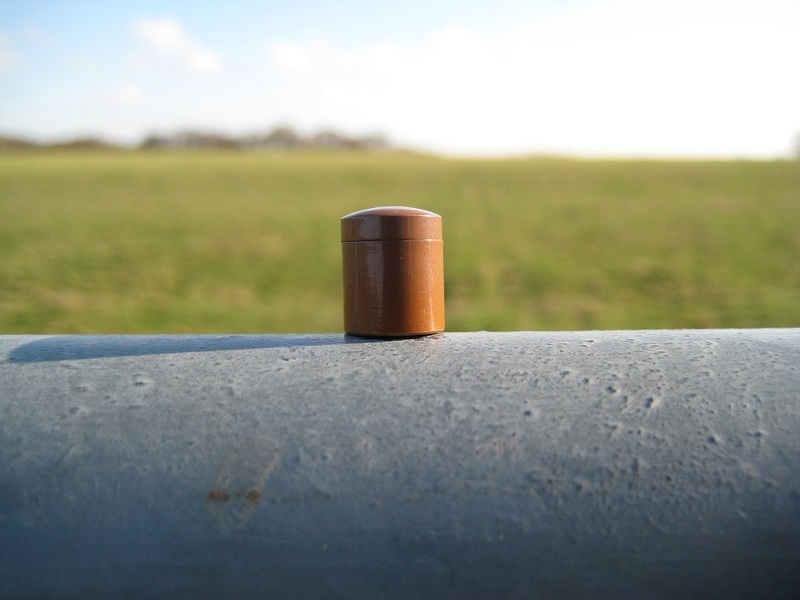 Compose ourselves, and say..’caching can only get better’. Our next 3 finds were fortunately straightforward. 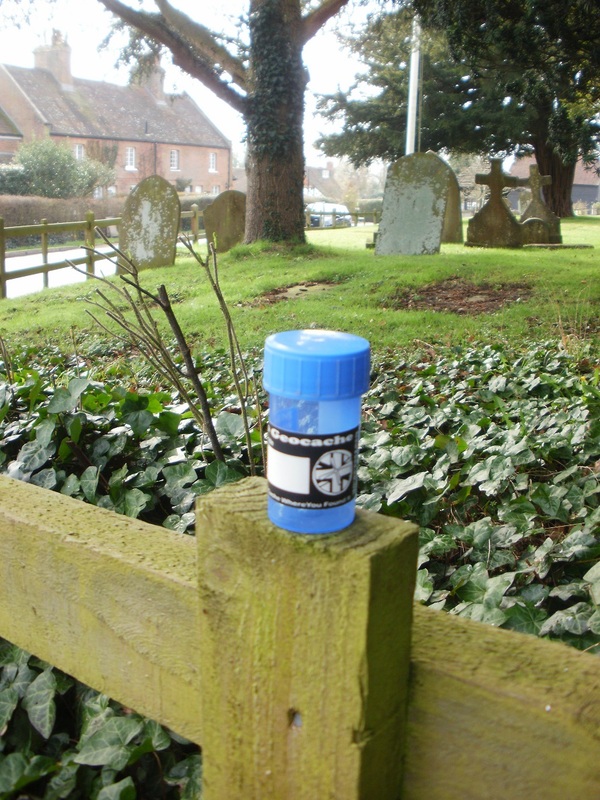 These three caches were part of a 10 cache series between the villages of Newdigate and Capel. 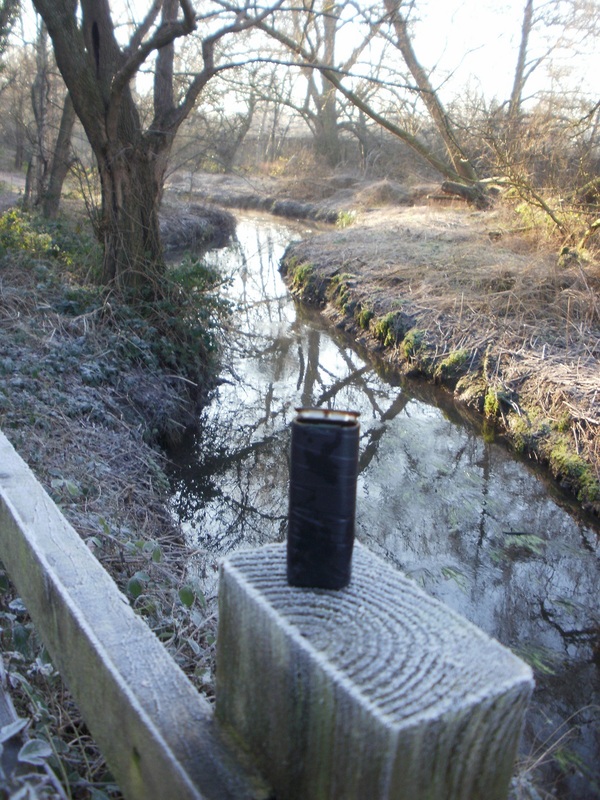 There is also a 10 cache series, using different paths back from Capel to Newdigate. What a great idea! On a late Saturday morning, the village of Newdigate was quite busy. Farm vehicles sortied slowly up and down the main street; parked cars narrowed the road to single line traffic; people were scurrying about their business. We had two targets in Newdigate. The first a simple Church Micro multi. 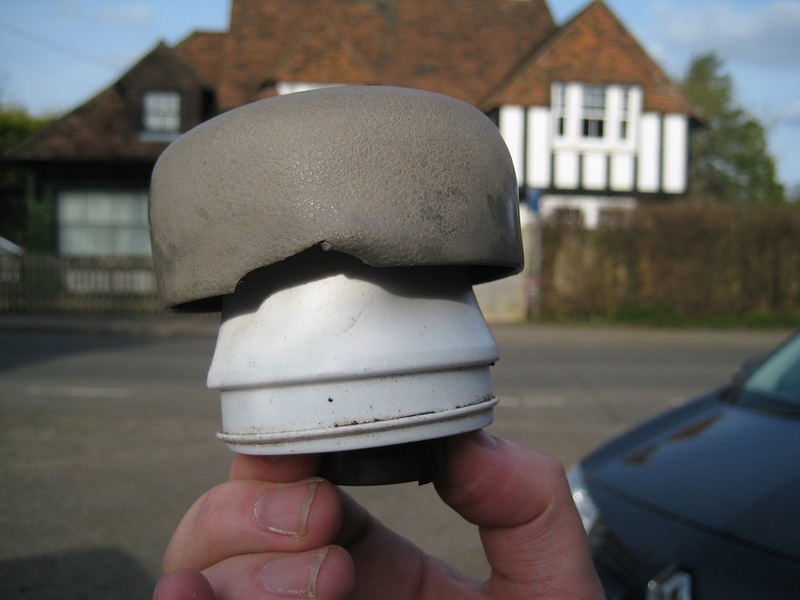 We ascertained the final cache was on our route out of Newdigate, so went in search of the other cache – (hint : ‘magnetic’). Here the GPS gods decided not to play ball with us. The GPS led us to a metal sign, roadside, in a bush, next to the busy and congested highway. We searched, and failed to find. What we couldn’t see from our ill-chosen and dangerous position that behind a line of trees surrounding the bush was another metal host object which is where the cache was. We only discovered this on our return home. Churches are great places for lunch. Normally there are seats outside, and here we ate lunch before finding (yes, really!) 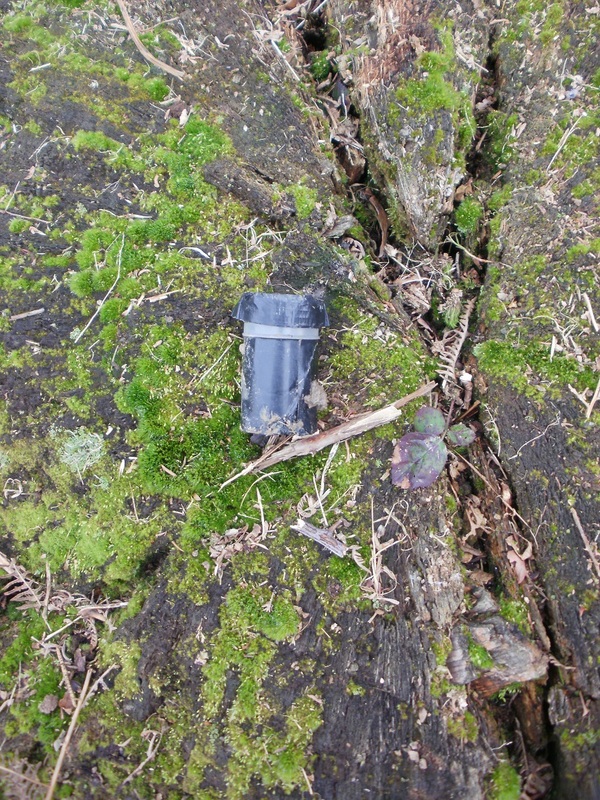 the Church Micro cache whose co-ordinates we had calculated a few minutes previously. 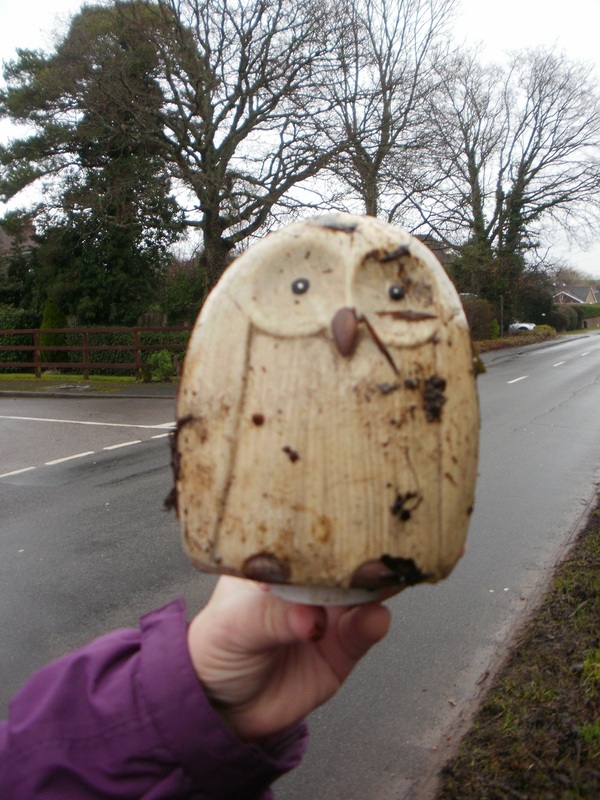 We were grateful for the find, as we had about a mile and half walk before our next cluster of caches. The mile and a half was predominately tarmac walking, mainly on small lanes. We passed modern barns, a variety of ponds, and a mobile home park before arriving at a grassy field. Here we were met by horses, so we paused while we were sniffed and checked all over. We were eventually allowed to pass by, and we arrived our first (of four) Star Trek themed caches. 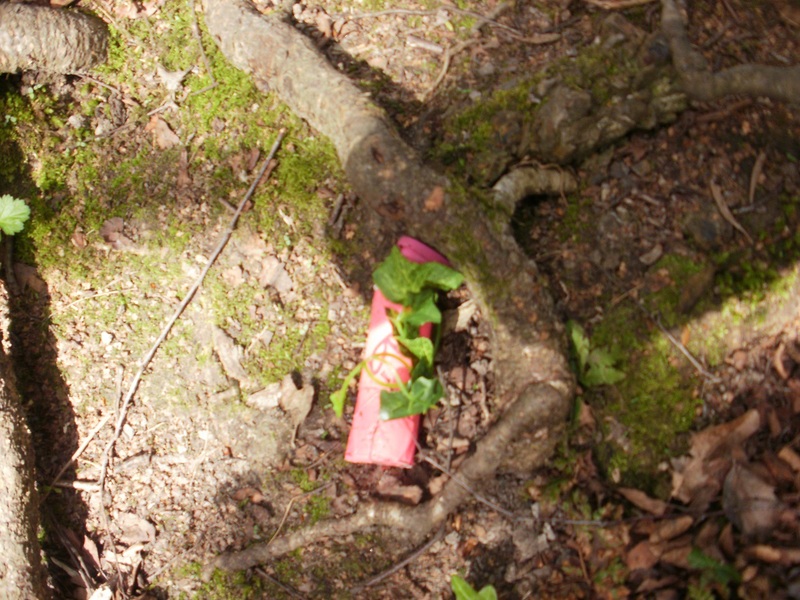 We had mixed results at these caches as we found two quite easily, but the other two completed eluded us. 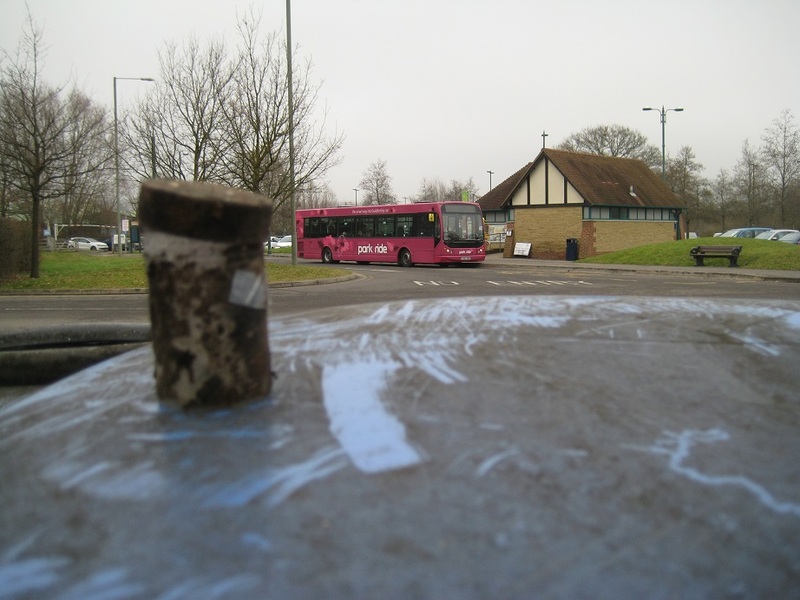 The cache owner has subsequently told us what we missed, but with the DNF day we were having, we would have missed seeing a red-double-decker bus as well as the minute nanos hidden in both bridge and stile. 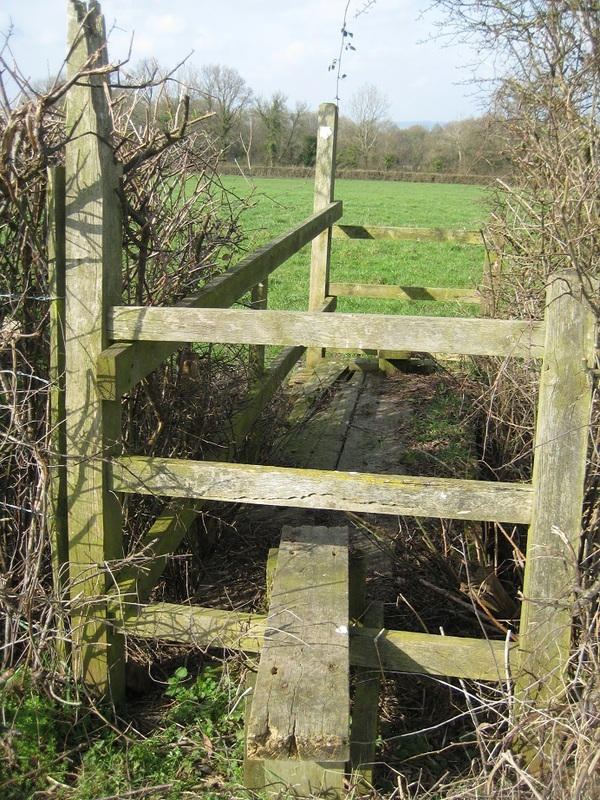 Somewhere on or near this stile is a cache! But we didn’t find it! The next cache was a pleasant find, part of the ‘Poppies on Parade’ series where the cache was (just about) visible from the war memorial. 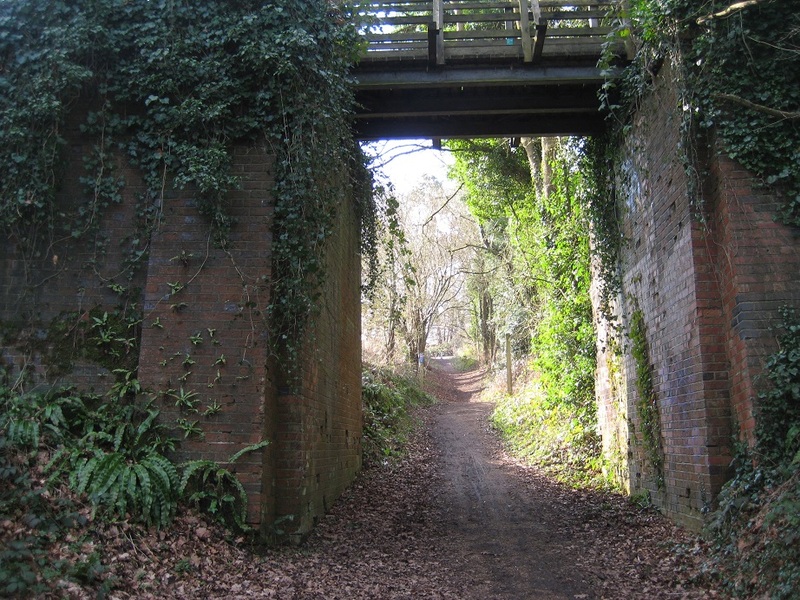 We continued through Charlwood and then found a long distance footpath that would be the backbone for much of our remaining route to Sandhurst: The Sussex Border Path. 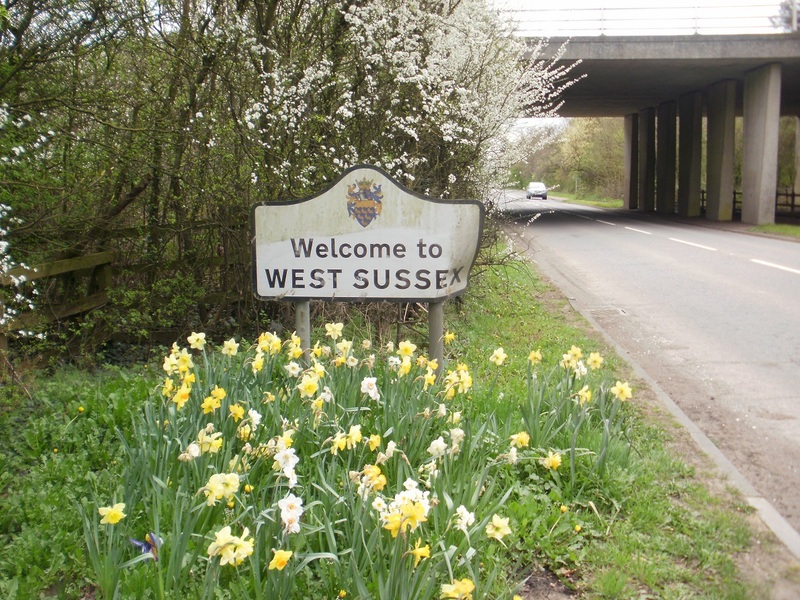 The path broadly follows the Sussex county boundary, weaving in and out of adjacent counties on its journey of 111 miles. 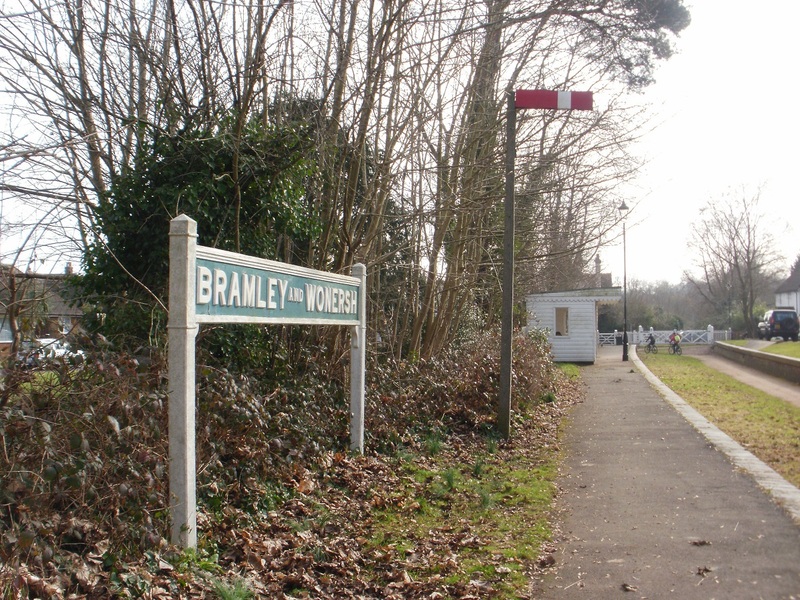 Charlwood is still in Surrey, our destination car was parked in Surrey, but the path would take us today on a short half-mile section into Sussex. We passed on another Church Micro multi as yet again it led us away from our route. 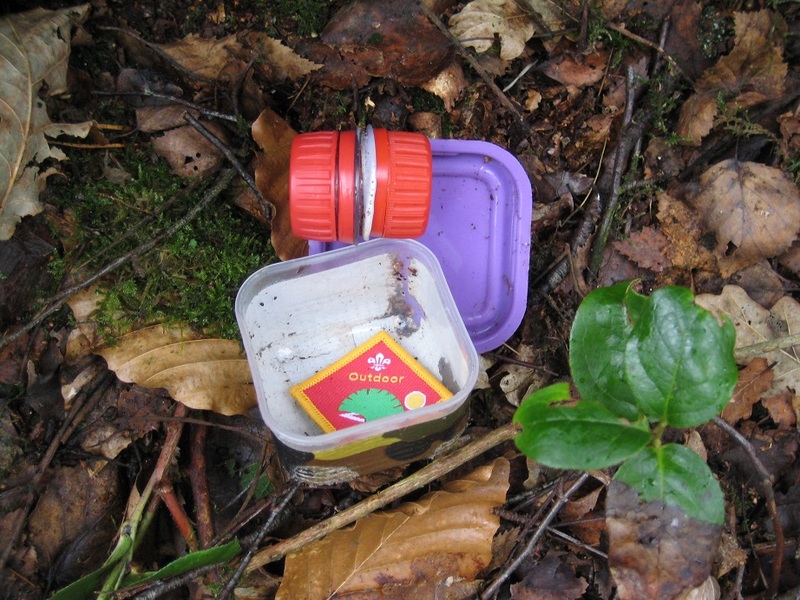 However as we left Charlwood we found two caches in the pudding series (we found ‘Mums Apple Pie’ and ‘Rhubarb Crumble’ !). 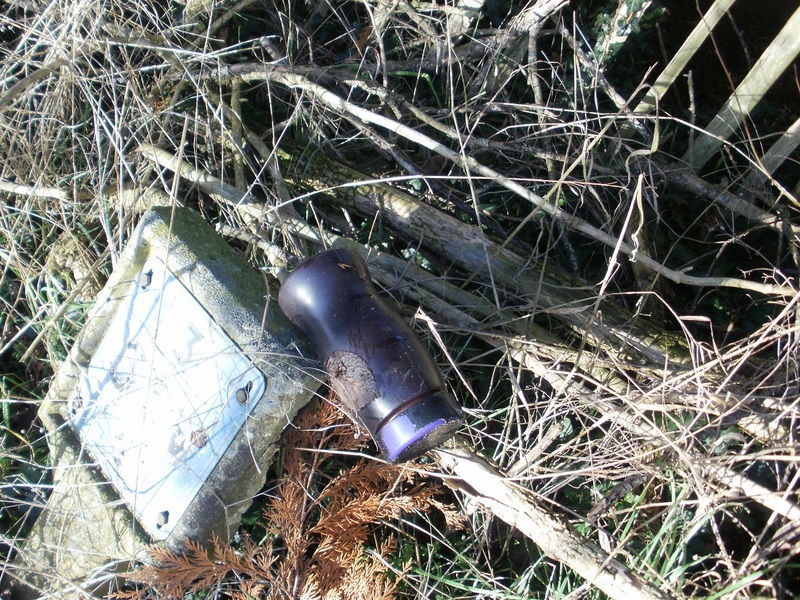 One of which needed careful extrication from under a water trough and through a hedge. Our last mile of walking took us close to the flight path of Gatwick Airport. Although the noise level had increased, we were pleasantly surprised to find the noise level was not too imposing. Our last cache of the day was near the car. This was quite a sneaky hide, as the hint mentioned ‘tree roots’. There was a huge fallen tree with a large hole with roots showing. But no cache visible. Next to the fallen tree was a smaller bush, with intricate roots, and hidden amongst it was our final find of the day. We released the ‘Hamburg’ trackable here, as given its proximity to Gatwick Airport, it might get back to Germany quite quickly. We covered well over 10 miles on our route, but probably just as many miles wandering the pathways looking for a myriad of DNF caches. Roll on next time… when hopefully we will fare a little better. Firstly, we don’t often do large caching expeditions on Sundays. As as the weather forecast was less favourable on the Saturday we ventured out on a Sunday. When our double car journey (of driving the end with two cars, parking one, driving to the start with the other) should have been quicker. Somehow we found the slowest ‘A’ road in Surrey, a bus (on a Sunday, really?!) we couldn’t overtake, then a learner we couldn’t overtake … and so we parked the first car a little later than anticipated. Then we discovered Storm Doris has blown a tree down within half a mile of where we wanted to park our second car. A 5 mile diversion later and we were then much, much later starting than we had planned. 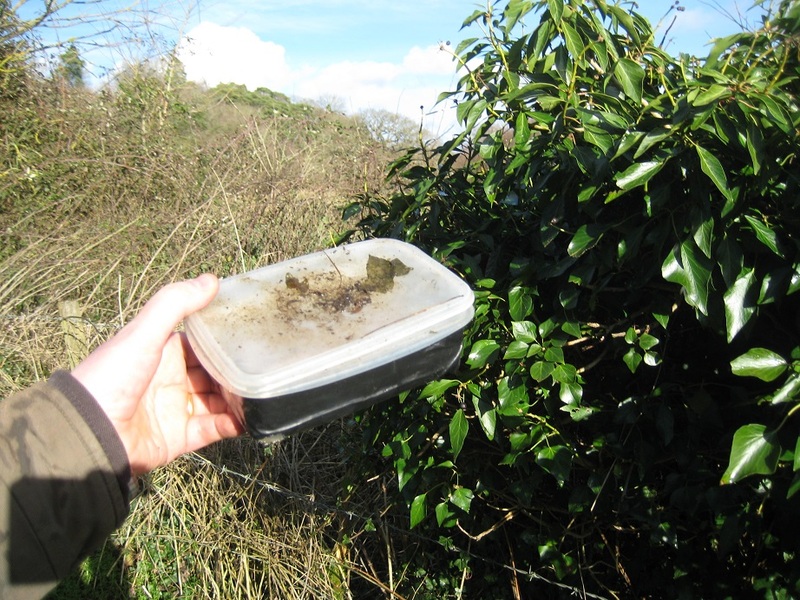 Our first cache was one we had failed to attempt from our previous visit to Winterfold Heath. Hidden under a pile of logs, we were grateful for a quick find to eventually start our day. Our next cache was slightly troublesome, but the cache owner had helpfully provided two sets of coordinates and we found the second most useful. However accessing the cache was slightly harder, as a stream of mountain bikers whizzed past. 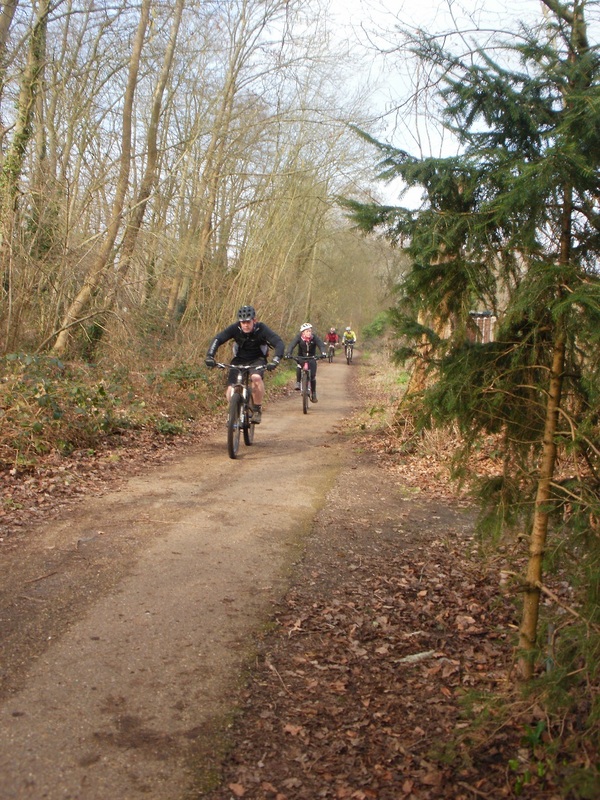 (‘Whizzed’ is a slightly misnomer as the track was exceedingly muddy and the cyclists were going uphill). 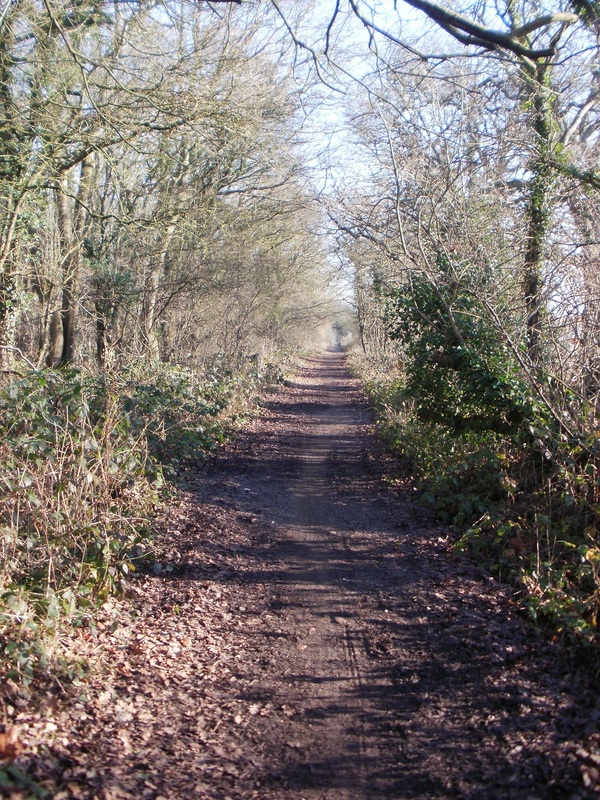 Being a Sunday, the footpaths and bridleways were much in use. For much of the day we were accompanied by ramblers, runners, cyclists and dog walkers. Not the usual quiet footpaths we are used to on Saturdays. 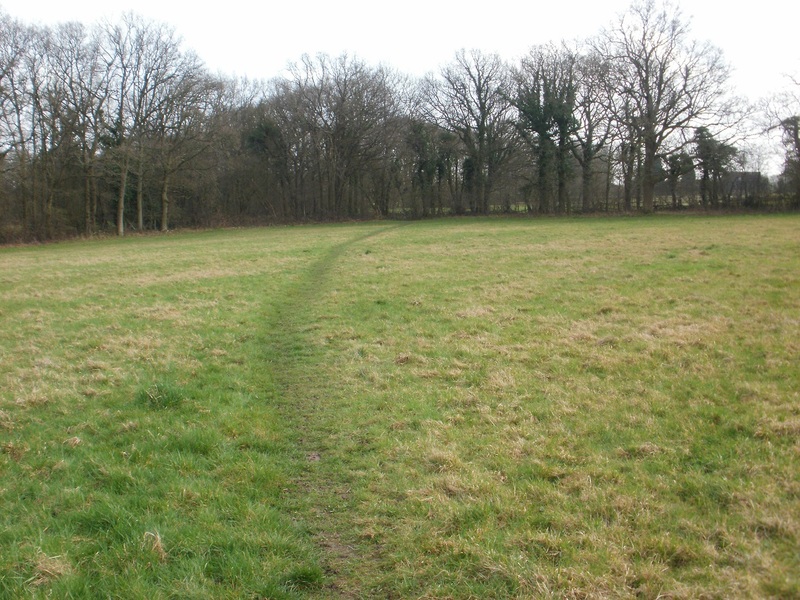 We were following the Greensand Way which zigzagged its away across the ridge line. 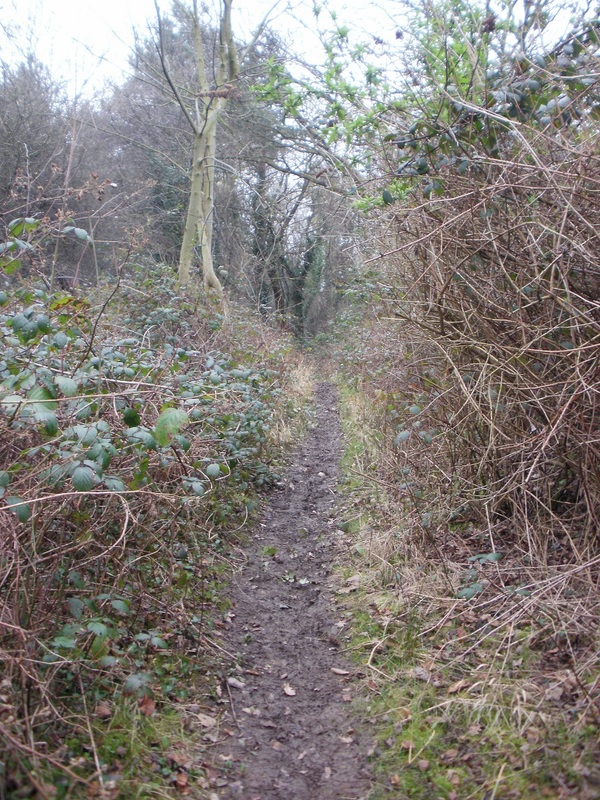 The waymarking could be best described as ‘haphazard’, and frequently we found ourselves on a similar, but wrong, path. 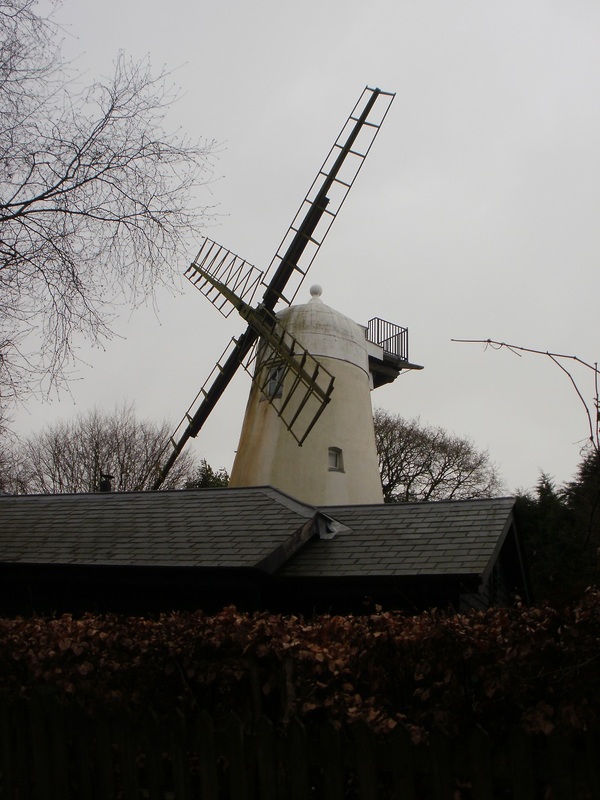 Fortunately it did take us past Ewhurst Mill. 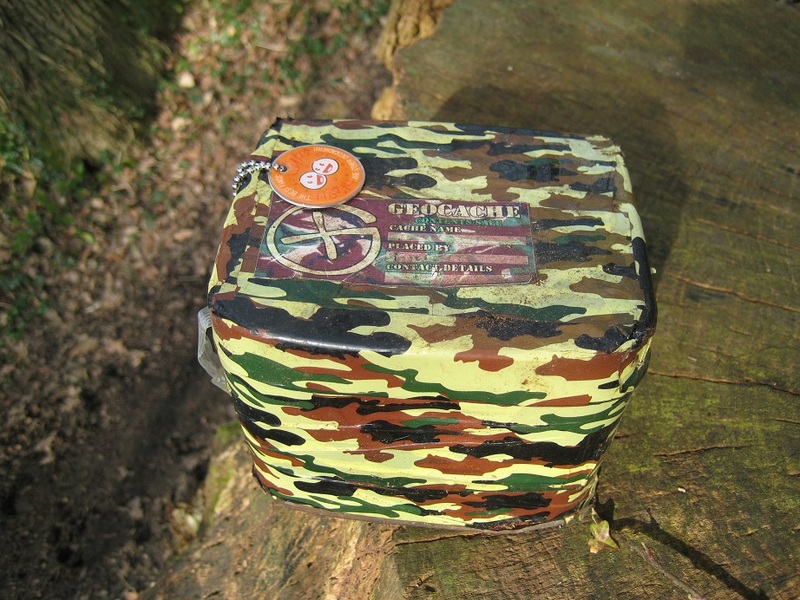 Almost in the shadow of the white mill was our next target cache, under a fallen white trunk of a silver birch. An easy find, but quite a hard approach through ankle high brambles. Our fourth cache of the day was in a tree hole. The tree was on a slight slope so access was tricky, the hole was deep and Mrs HG137 was up to her elbows retrieving the small plastic container. We walked away from the cache and paused for coffee. The two children shouted “yes” unanimously and off they ran. We just had time to tell the father that we had just found the cache, and it roughly where it was. We finished our coffee, but it was obvious that the family had NOT found the cache. It couldn’t have gone missing in the short time we had been away so Mr Hg137 ran up to them and nudged them towards the dark forbidding hole in the tree. 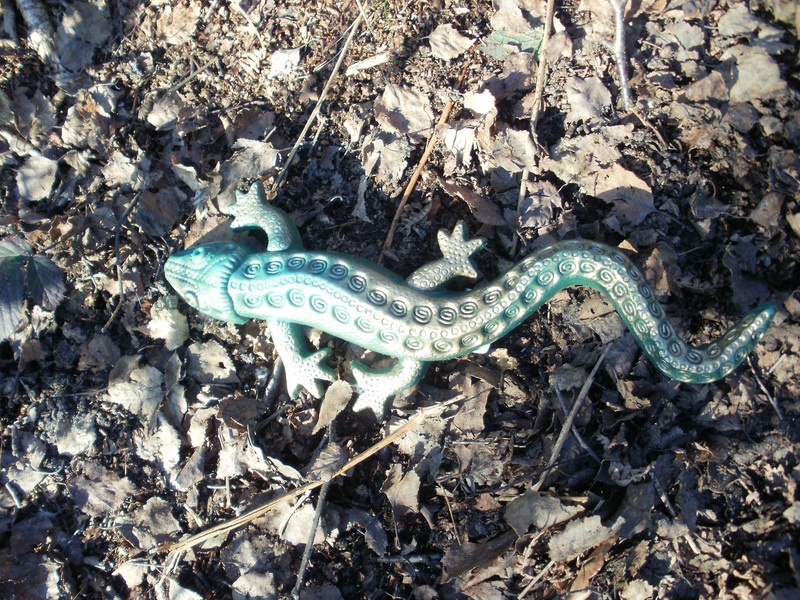 At first the young son didn’t want to put his hands in the hole, but he did, but sadly his small arms weren’t big enough to fully retrieve the cache. The father though, was able to, and the family eventually found the cache! That was to be our last cache for some while, as the Greensand Way undulated for 2 miles with no caches for us to attempt. (There were a couple of unsolved puzzle caches and some very long multis, but no ‘easy’ traditionals). 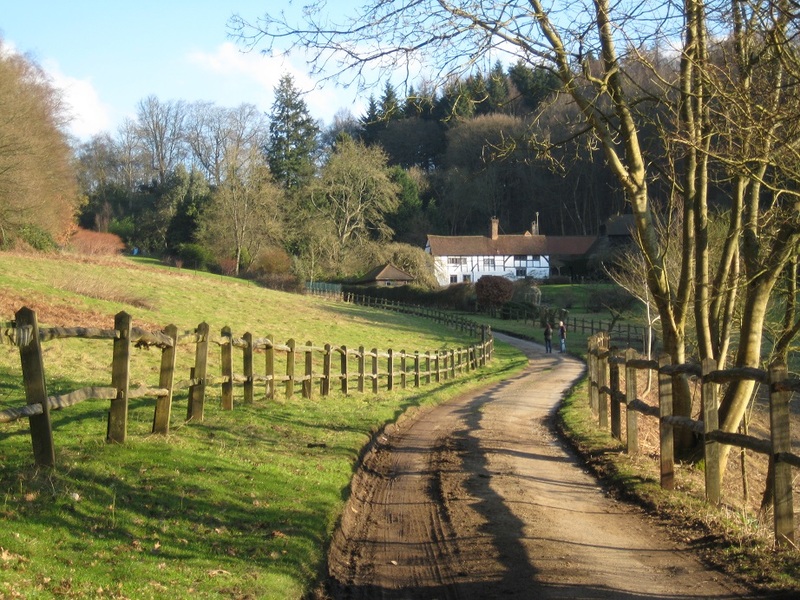 The path yielded fine views across the Weald to the South Downs as well as dropping steeply through the grounds of the Duke of Kent School only for us to climb steeply up the far side of the valley. Eventually we arrived at a cache to find. The GPS and the hint item seemed at first out by 100 feet, so we walked on, but after much futile searching arrived back at the hint item, where the GPS now said 6 feet! 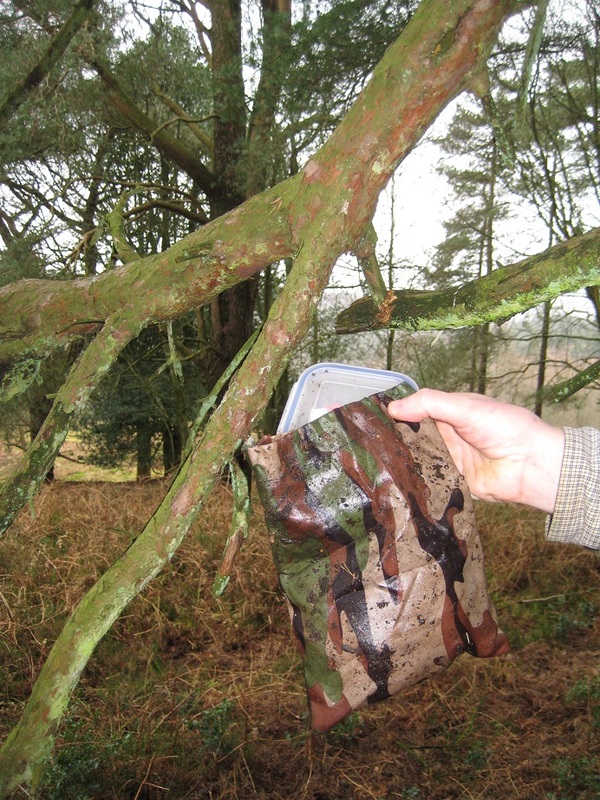 A large yew, and a small film canister. What a shame a larger container couldn’t have been hidden. We were now on flattish, but gently rising terrain. 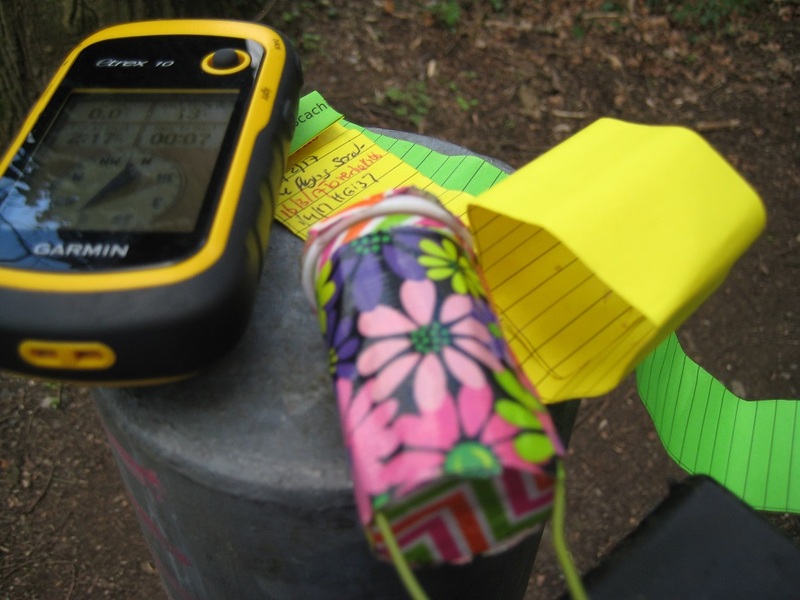 We claimed a quick find for our next cache, and even added some new paper as the log book was full. 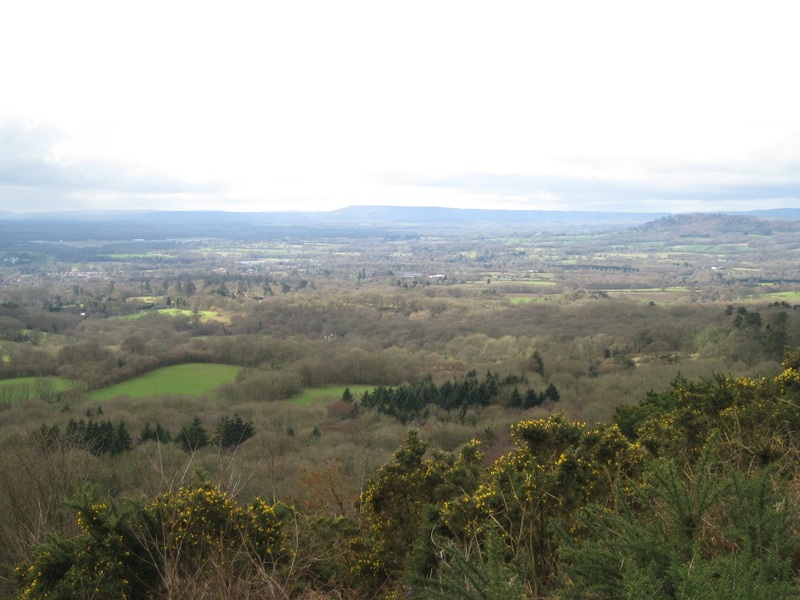 A few short strides later and we arrived at the top of Leith Hill and Leith Tower in particular. 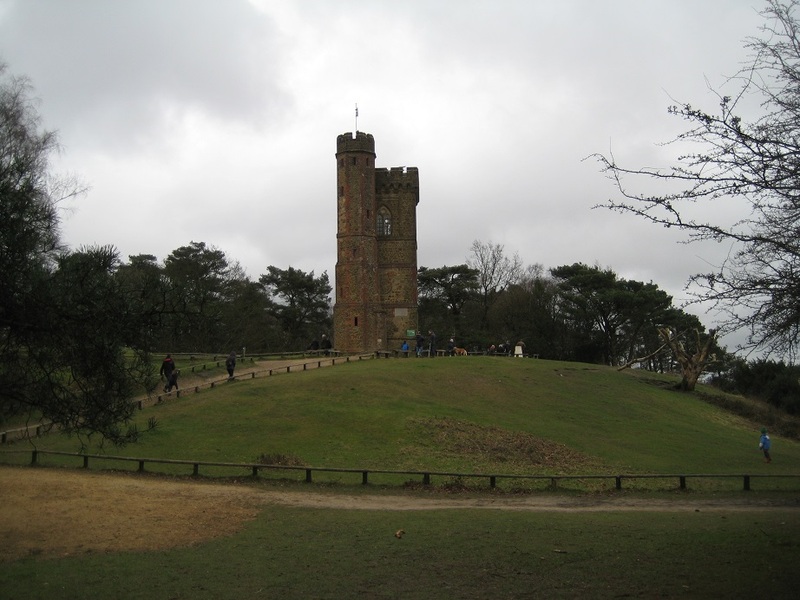 Leith Hill is the highest point in Southern England and 14 counties should have been visible. By now low cloud was forming over the South Downs some 15-20 miles away, so not the best day for county-counting. “What do you call a Polar Bear in a Desert ? 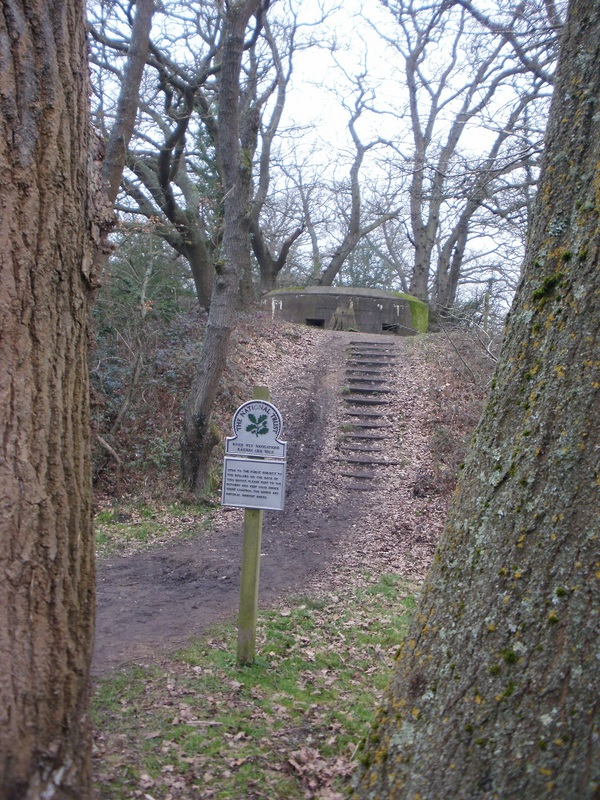 To find the cache we had to walk a fair way down one of the Leith Hill slopes. It was then we discovered that a traditional cache was back at the top! So we re-climbed the slope, and found that cache too. We admired the view for the second time, only to discover the low cloud had enveloped much of the Weald and there was no view at all from the top of the hill! We still had two miles to walk, in ever worsening gloom. We descended the hill for the second time and walked across roads, very muddy fields, crossing a railway line – pausing only to go over stiles (one of which was being impressively guarded by a horse). 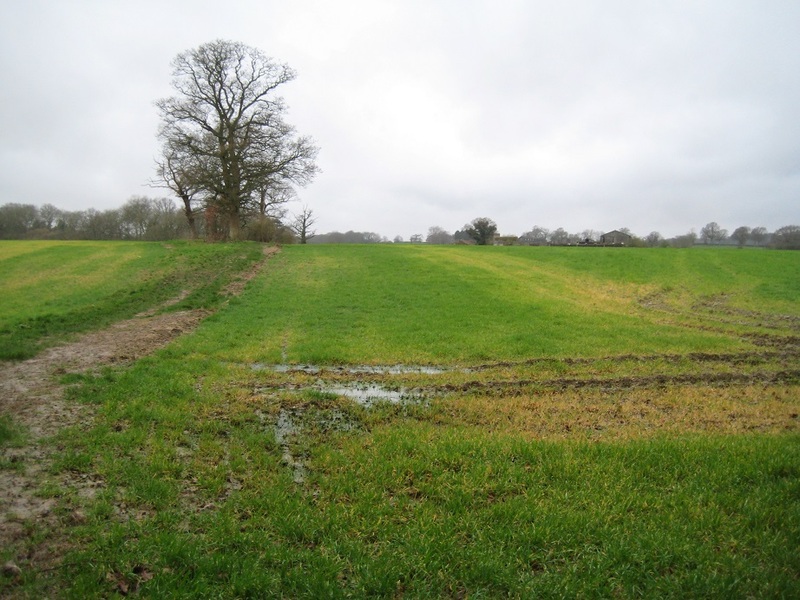 Thank goodness – no more mud! Eventually gloom gave way to the lights of Beare Green, and we knew our 10 mile walk would soon be concluded. We had one more cache to find, underneath a small footbridge. An easy find, and a pleasant end to the walk. 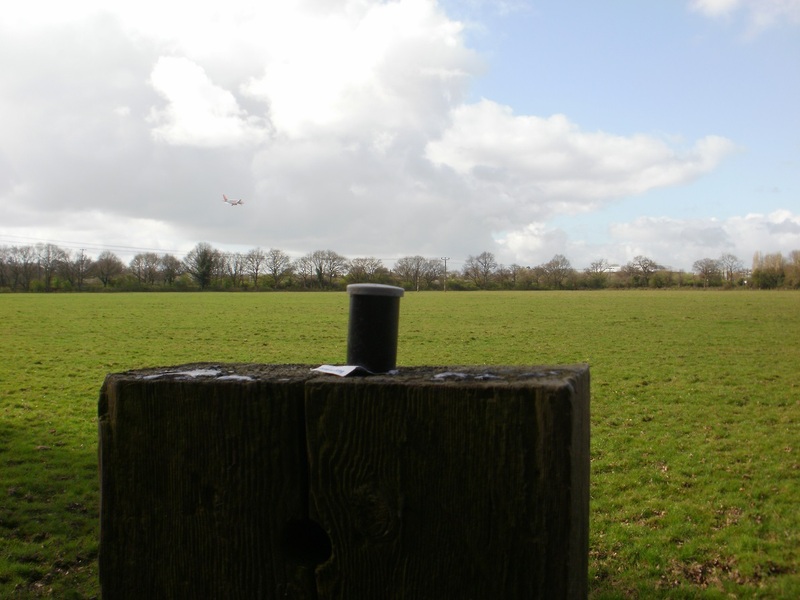 There are a few more caches to find in Beare Green, but we will leave those for another time when hopefully Sunday traffic and gloomy weather won’t conspire against us. Winter had changed from a cold, frosty season to a wet one. Very showery, very cloudy. But the day was fairly fine with the promise of rain later. Best get on with the plan ! 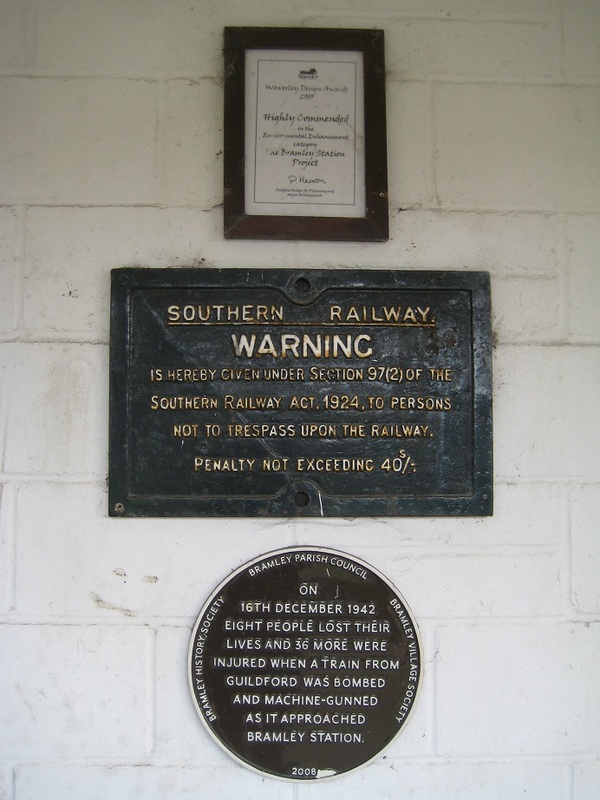 The plan was to walk from Wanborough Station to Shalford Station, catch the hourly train from Shalford station to Guildford, then wait 20 minutes for the half-hourly train back from Guildford to Wanborough. We had walked and cached some of this route before, so it should be straightforward. What could possibly go wrong? Eagle-eyed readers will have noted the blog title does not correlate to the plan so, a bit like caching, expect the unexpected! It all started well enough. 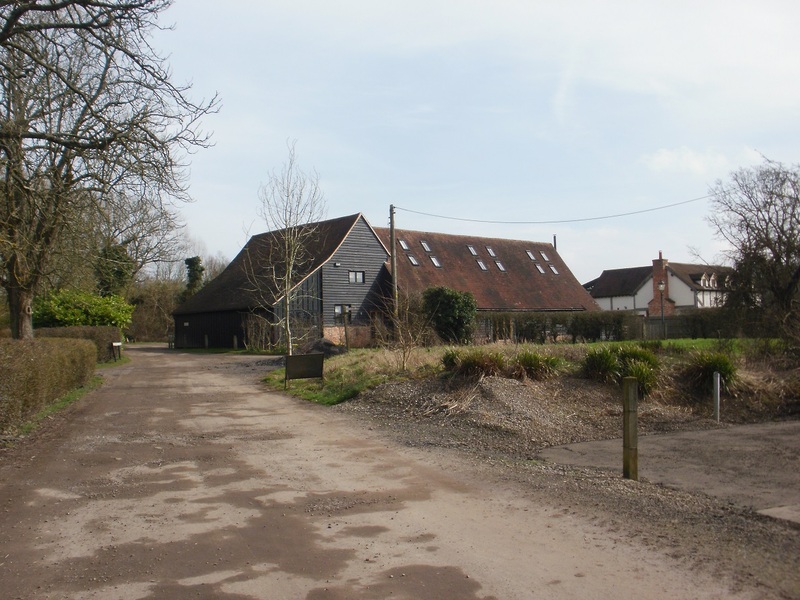 Our previous visit had left a previous multi/puzzle unfound, so before arriving at Wanborough station we parked near to where we had looked before and rummaged. Was it that we were fresher, keener and warmer than when we last looked? Was it the hedgerow seemed to have been trimmed ? Either way an easy find and a great start to our day’s caching. How-l did we miss this on our previous visit ? 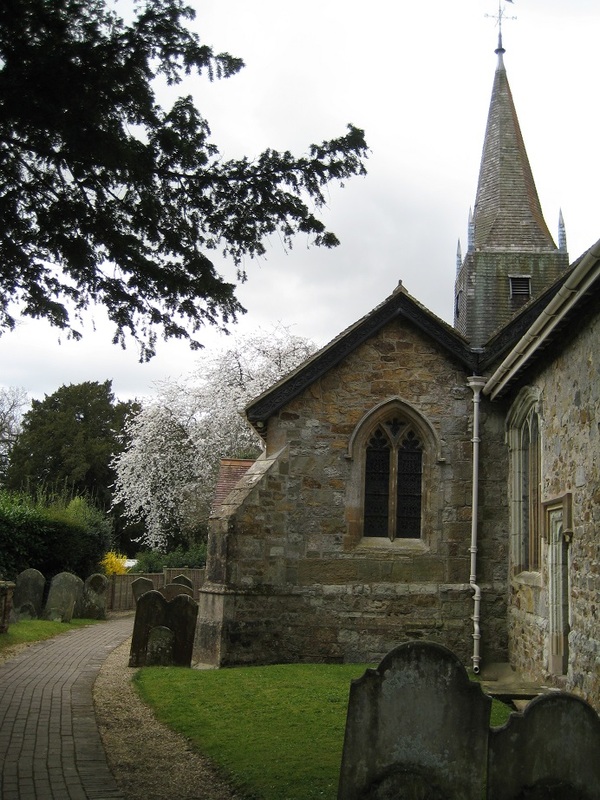 Our first real target of the day was a Church Micro in Wanborough. 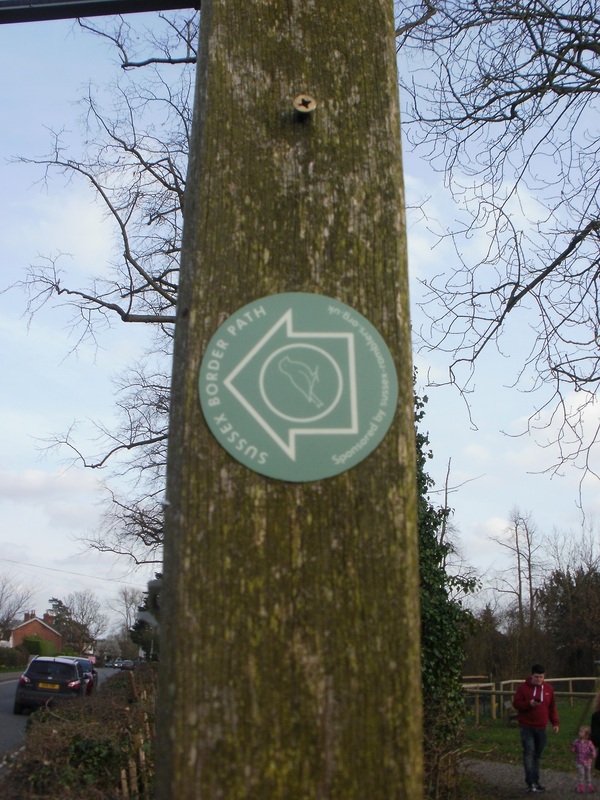 To reach it meant walking for about half a mile on the Fox Way, a 39 circular route circumnavigating Guildford. 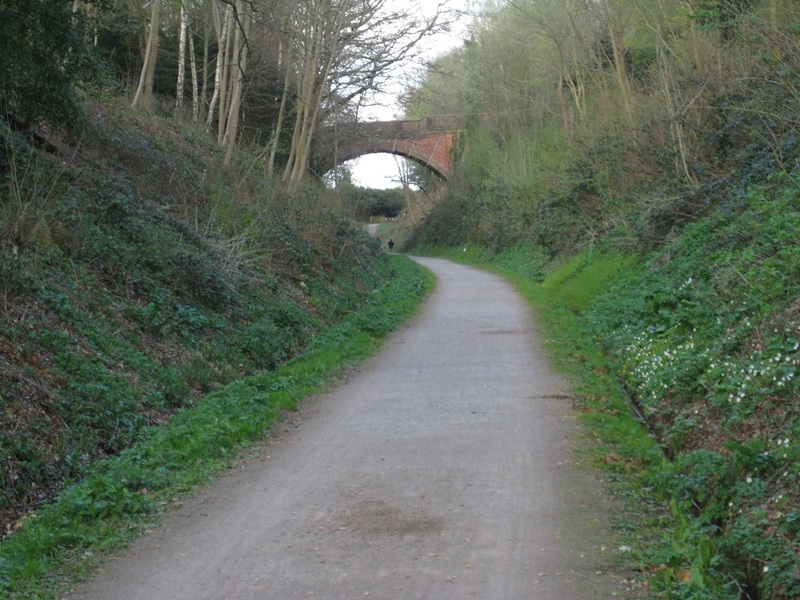 The route is named after Richard Fox, one of its creators. 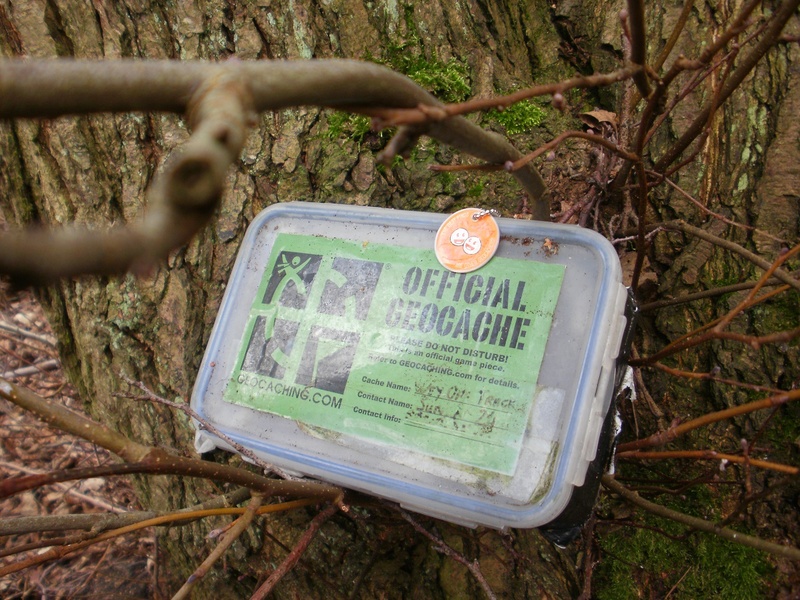 There are also a number of geocaches on its route too! 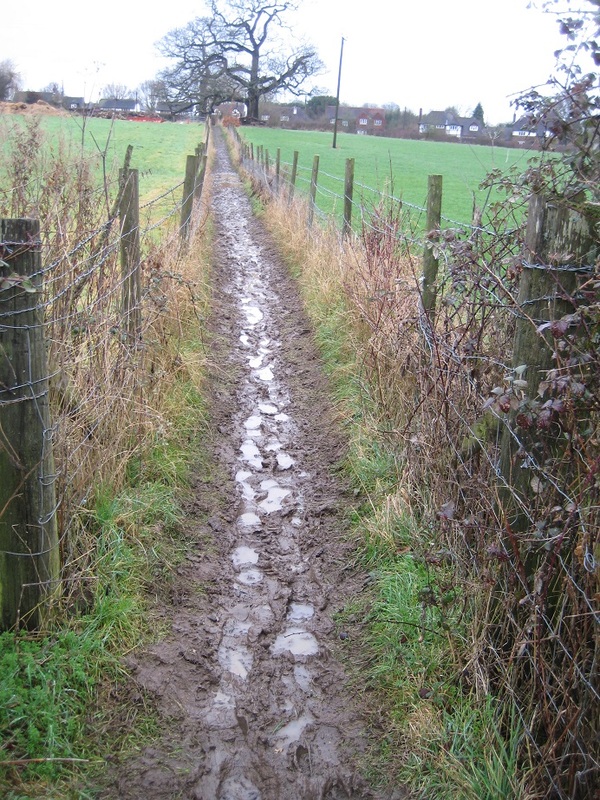 However our half-mile journey involved walking along a muddy, flooded, barbed-wire enclosed, narrow footpath. We gingerly squelched our way along the track, sometimes using the fence posts as stability, other times a submerged brick was a useful stepping stone in the flooded section. During the summer this path would be really easy, but after a week of winter rain… the semi-submerged path proved tricky! When we arrived at the Church (St Barthomolew’s) we found a real gem. The Church was built shortly after the Norman Conquest and the answers to the multi-puzzle cache were easy to find and easy to calculate. However a parked van obscured our vision of the optimal footpath sign, so we took a slightly longer route to the cache than we expected. 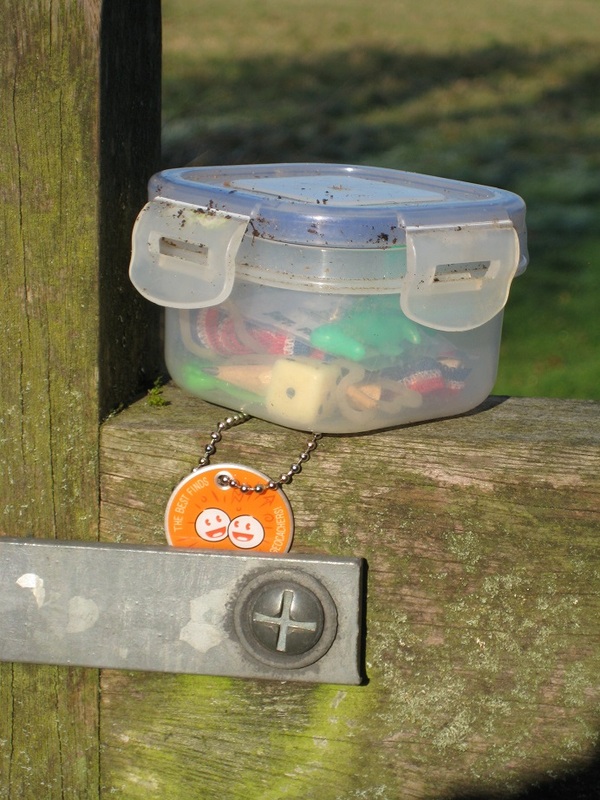 The cache was found with the help of two sheep in the neighbouring field who came over to chat. 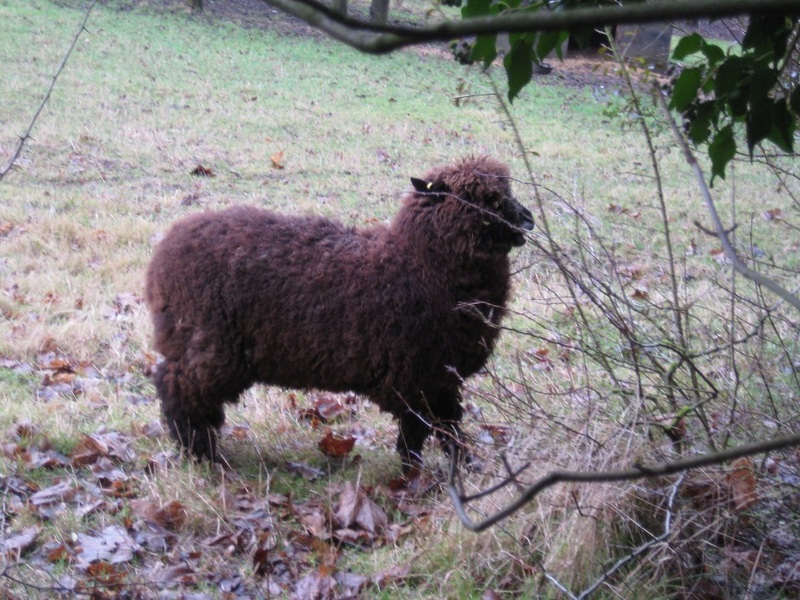 Ewe will find the cache here! We decided to have a coffee stop back at the Church, as our previous knowledge of the area told us there would be no other suitable spot for a while. We then had the longest section of pavement walking of the Sandhurst-Sandhurst route so far, but this was more to ensure an easy tunnel crossing of the Hogs Back, a notorious dual carriageway (A31). 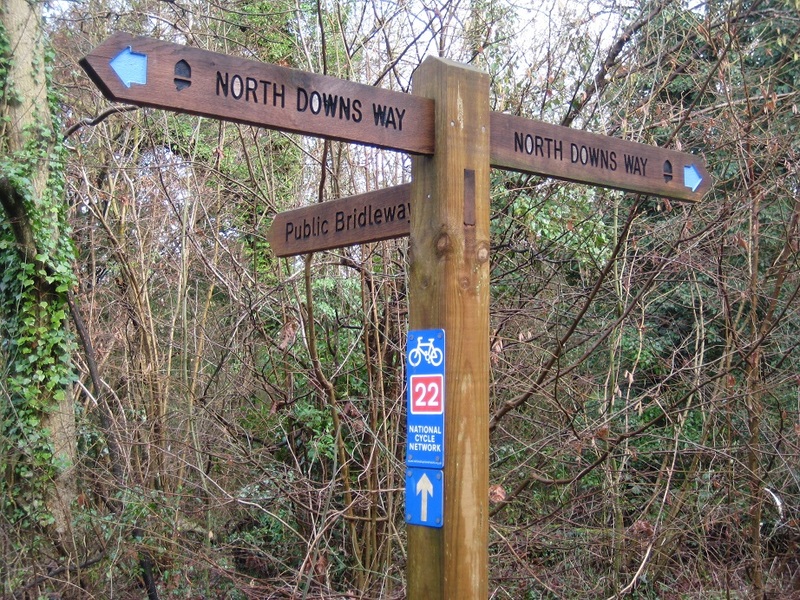 We arrived at the North Downs Way, another long distance footpath, which links Farnham to Dover. 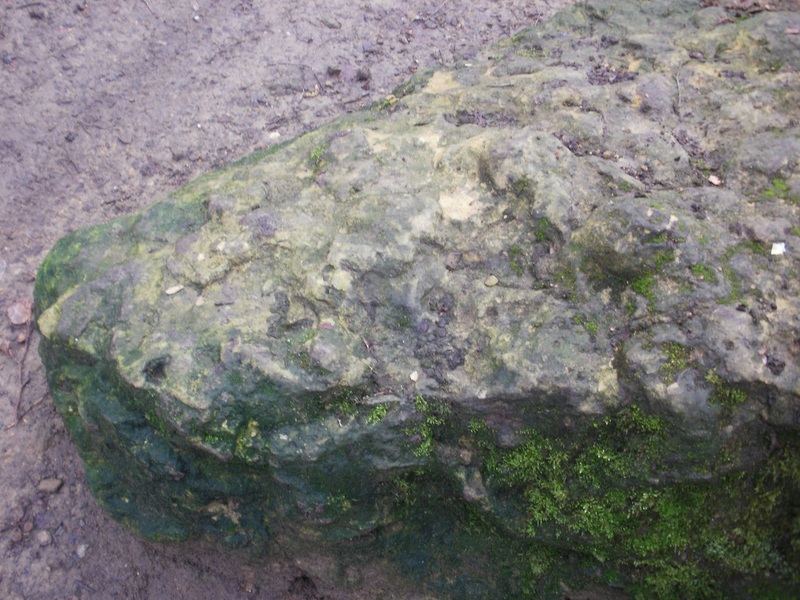 We were only walking 3-4 miles of its 153 miles before turning away from it, to reach Shalford. 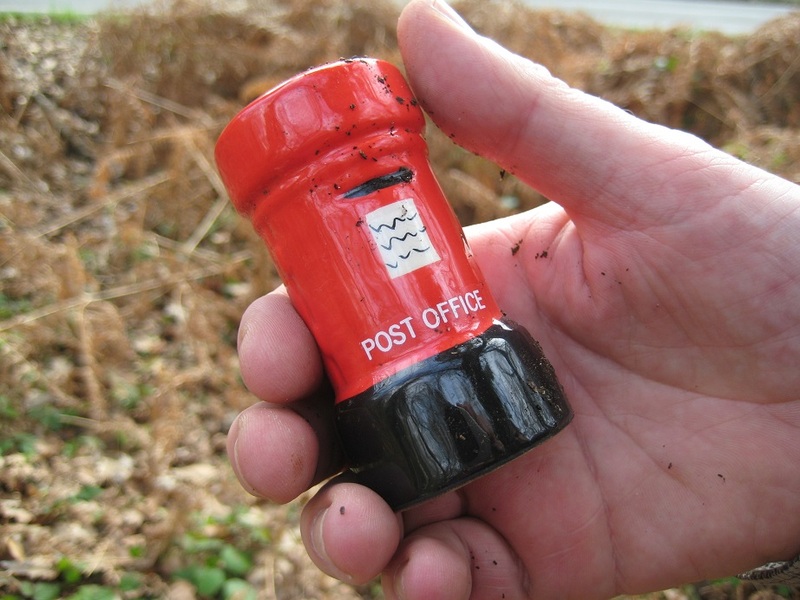 We had cached twice on the North Downs Way and we had DNF’ed a couple of caches on our previous visit. Today was time to have another search! And we were lucky with both! The first, discovered behind a fence post and really, really small; Mrs Hg137 also discovered stinging nettles sting even in February. 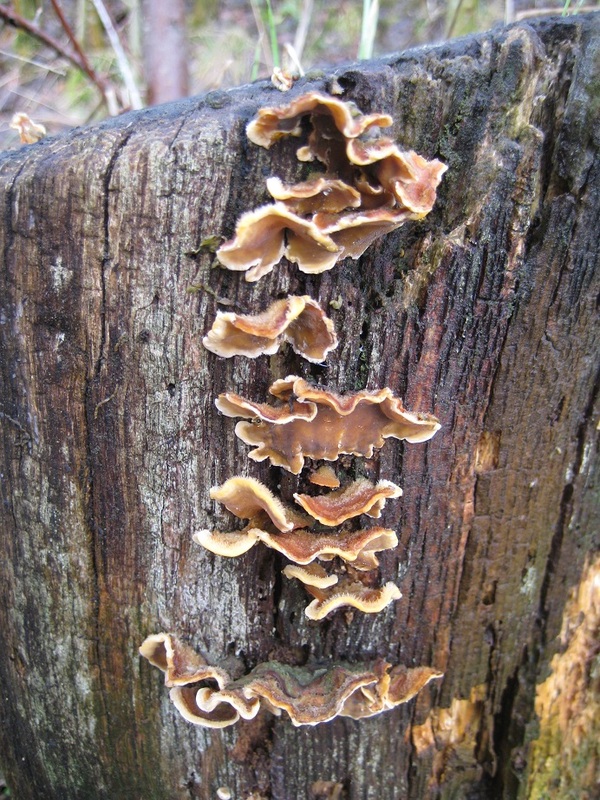 The other was more troublesome since it was in tree roots at the top of a muddy gully. To reach the roots we slipped and slithered, and kept watch as several parties of muggles trudged by, each own complaining of the ankle deep mud. 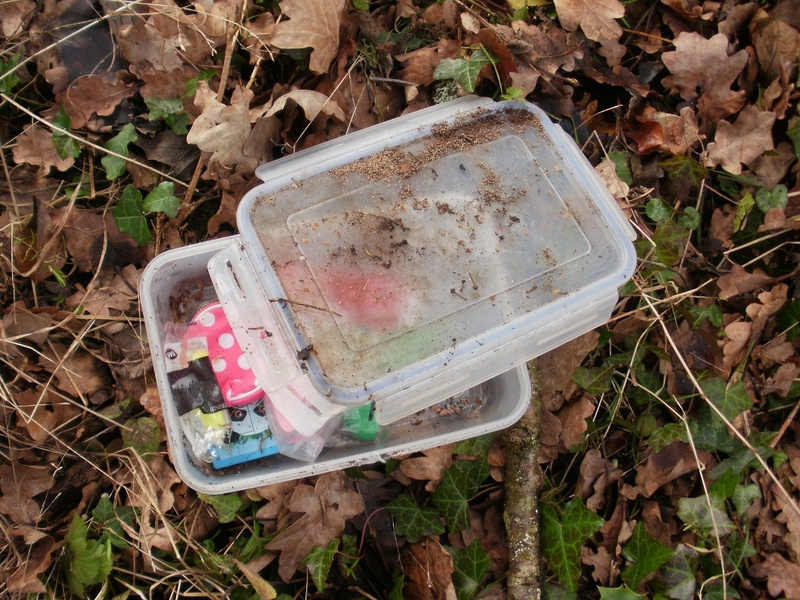 It took three attempts to find this cache (well Mr Hg137 took two, and Mrs Hg137 found it easily!). Still a find is a find ! The North Downs Way was quite busy as there was an afternoon event at the Watts Gallery. 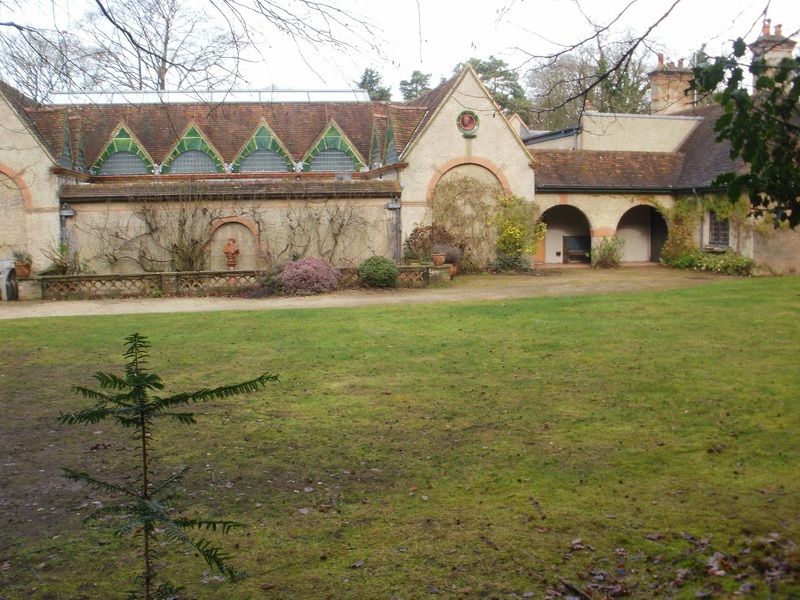 This Gallery has been rebuilt using Lottery funding and exhibits the work of Victorian painter and sculptor George Watts. We also passed two groups of Bronze Duke of Edinburgh parties. (We’ve discovered over time that they spend just as much time having a six-way discussion over the map, as they do walking!). 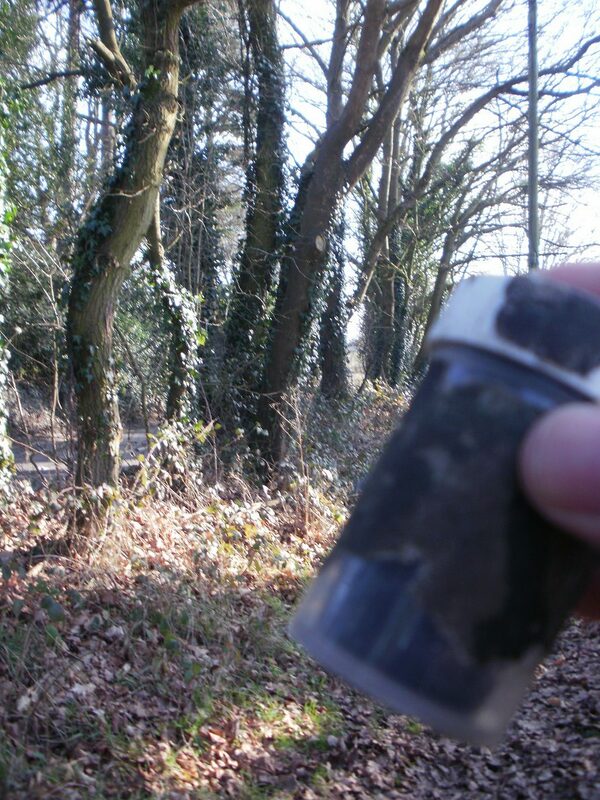 Our next caches were just after we had turned away from the North Downs Way both easy finds, hidden in tree roots. 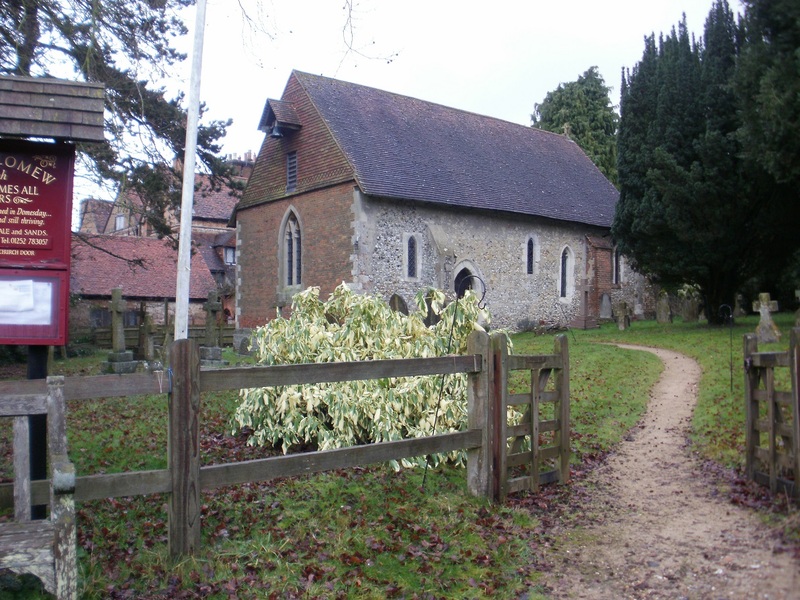 We were aiming for a tiny hamlet at Littleton where another Church Micro awaited. (We also assumed there would be a seat in the Church grounds for lunch). Sadly… there wasn’t. 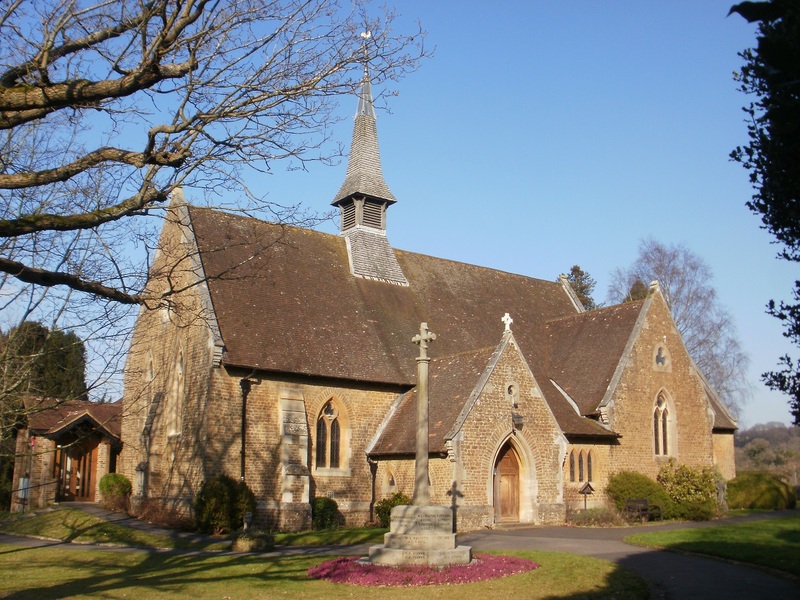 The Church was originally built as a village school house back in 1843 and turned into a church when the school moved premises. However the granite step into the Church proved a more than adequate seat. Unlike Mr Hg137’s ability to load the Church Micro details into the GPS! He had written down the calculation but failed to load the cache details so that we had no means of finding the location of A,B,C, D and E. We searched unsuccessfully for a wifi signal. Nothing. Then, as were leaving we noticed 5 numbers on two signs which Mr Hg137 remembered being the key. We assigned values in an obvious way and undertook the calculation. We were only 100 feet away! The Ground Zero had just been re-fenced. 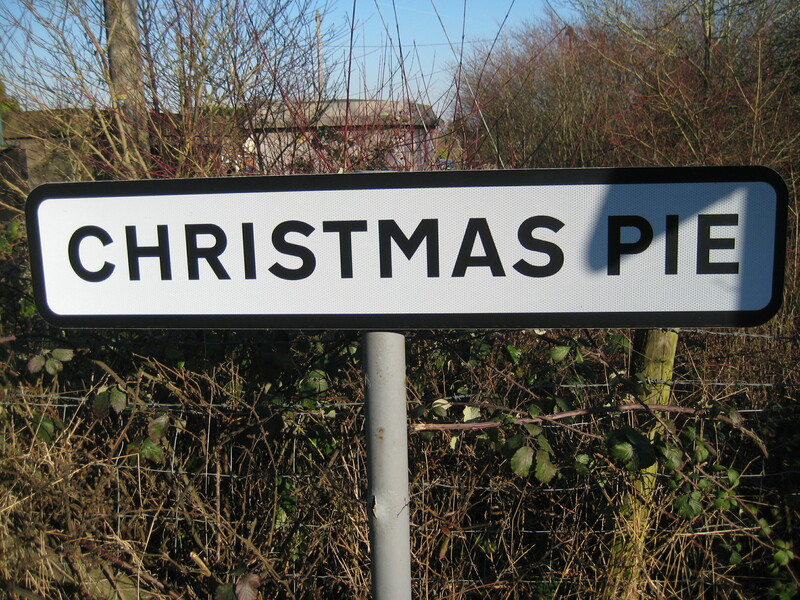 New poles had been erected – even a nearby Farm Sign was new! 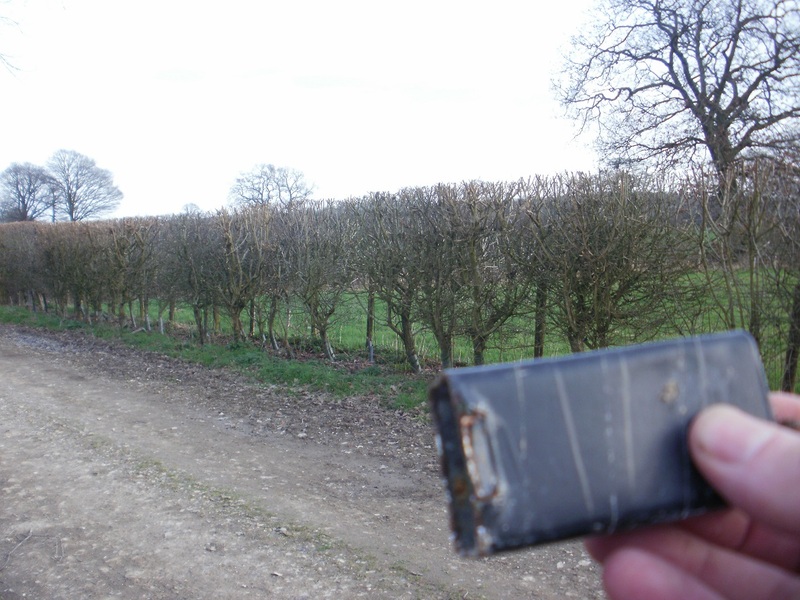 We decided that the cache had been ‘lost’ in the upheaval and marked it down as our first DNF of the day. So reluctantly we headed away from Littleton, and headed towards Shalford. The path formed the boundary of a Police Dog Training Centre, and it seemed no coincidence to us, that every dog walker seemed to have an Alsatian with them. Fortunately the two caches we had to find on this section were surprisingly straightforward. One hidden in the depths of some horizontal ivy (shame the log book was so wet we could barely write on it), the other not quite so well hidden in a recumbent log. Lichen this walk a lot! Time was ticking as were emerged on a main road halfway between Guildford and Shalford… could we walk and cache the last 3/4 mile or so in 30 minutes so we would make the next hourly train ? 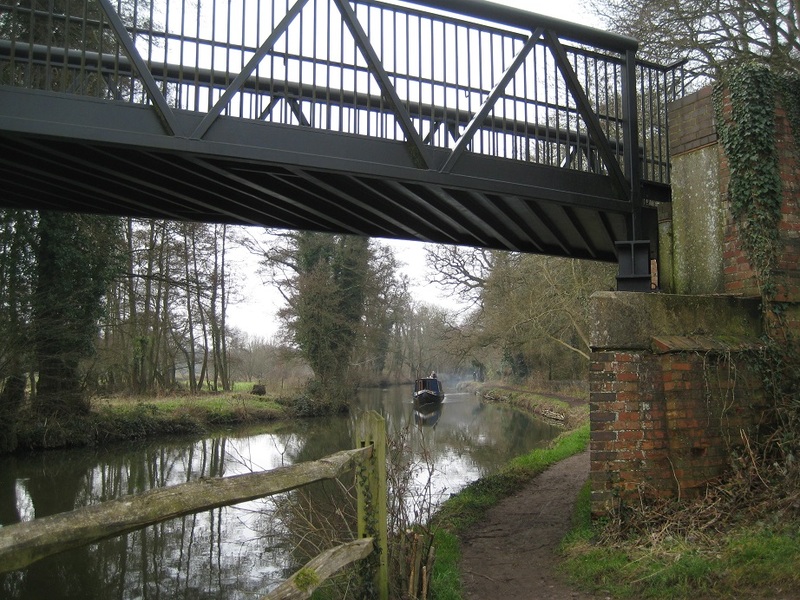 All we had to do was cross the River Wey, find a cache on a ‘island’ (more accurately a large piece of land which the River Wey meandered around), cross the River Wey on the far side of island, walk through a cemetery (another cache) and arrive at the station. 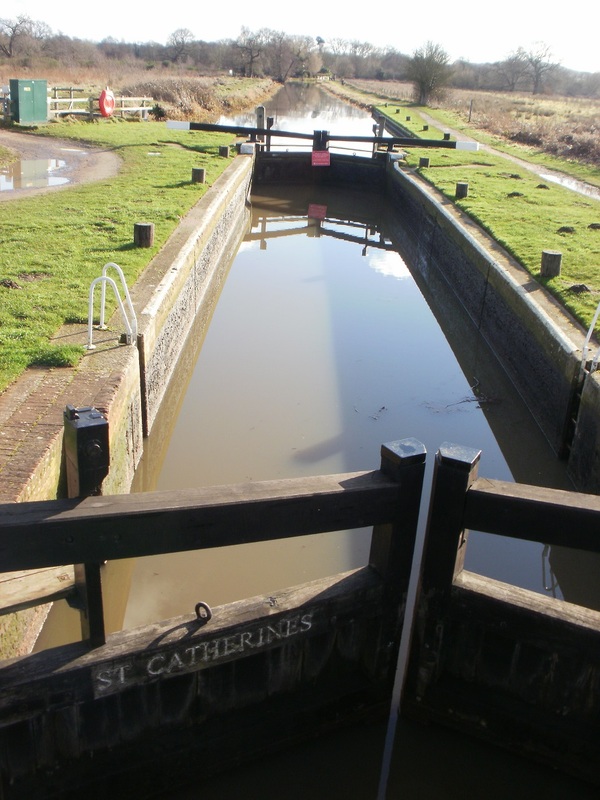 Our first River Wey crossing was at St Catherine’s Lock. Due to high water levels downstream this was as far as boats could travel (not that we saw any). 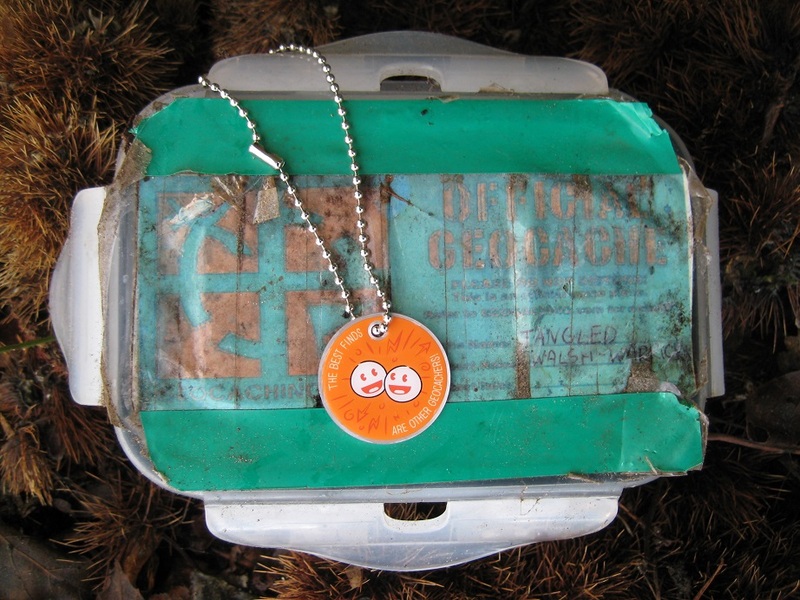 We arrived at the first cache site, and then read the logs.. it had been DNFed since April last year. We undertook a token search, but decided with time pressing, to move on to locate our second bridge. Could we find the bridge ? No ! There seemed to be no route off the far side of the island! Even a local dog walker (yet another Alsatian), said there was no bridge. We checked our maps, and although we could see one printed we accepted her word. We quickly concluded we would not have enough time to walk all the back to the lock gates, and walk an even longer route to Shalford station in the 20 minutes before the train was due. Reluctantly we decided to walk to Guildford instead… we could follow the Wey to the City Centre, find the station, and still catch our connecting train. 40 minutes and 2 miles later we arrived at the Station, breathless and exhausted after an eventful day’s caching. 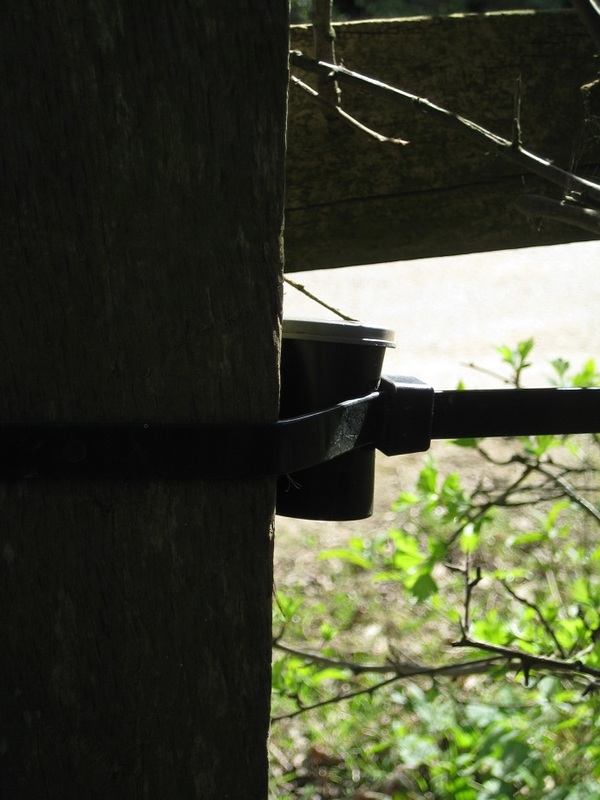 Our journey is being documented by a trackable which we are ‘dipping’ in found caches or at other cache locations to give a ‘broadly accurate route’. Today we had the crisp, sunny winter’s day we had hoped for on our last day. It was a beautiful morning, but, my oh my it was cold! Starting at North Camp station, we set off south along a diversion from the official Blackwater Valley path. We saw a notice on a post about unauthorised change of use of the land by the rivers, and have also heard (but can’t confirm) that the landowner closed the riverside path around then. 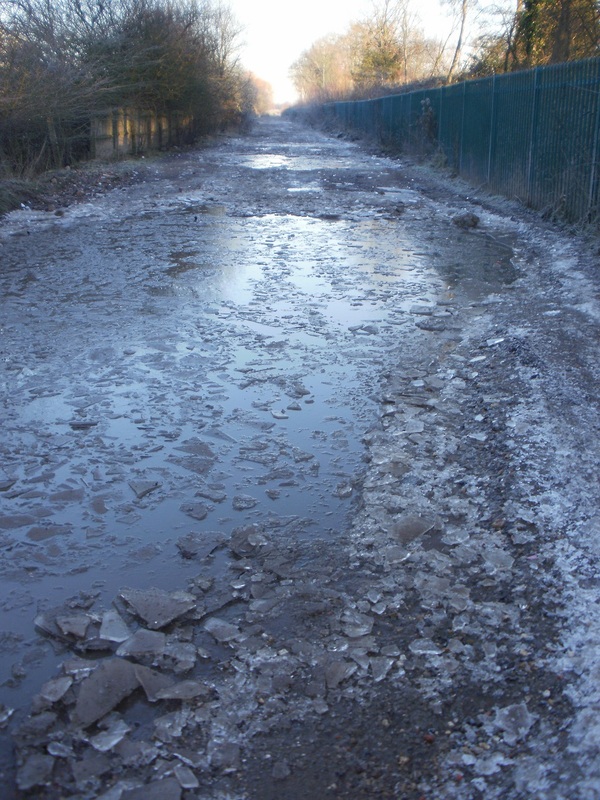 Anyway, that meant a walk along a bumpy track, with many an icy puddle, sandwiched between the A331 and some gravel pits. Soon we returned to the river, and went to find out first cache, a puzzle cache called ‘Follow you, follow me’; luckily, we’d got the puzzle correct and were the first to find the cache since September 2016. 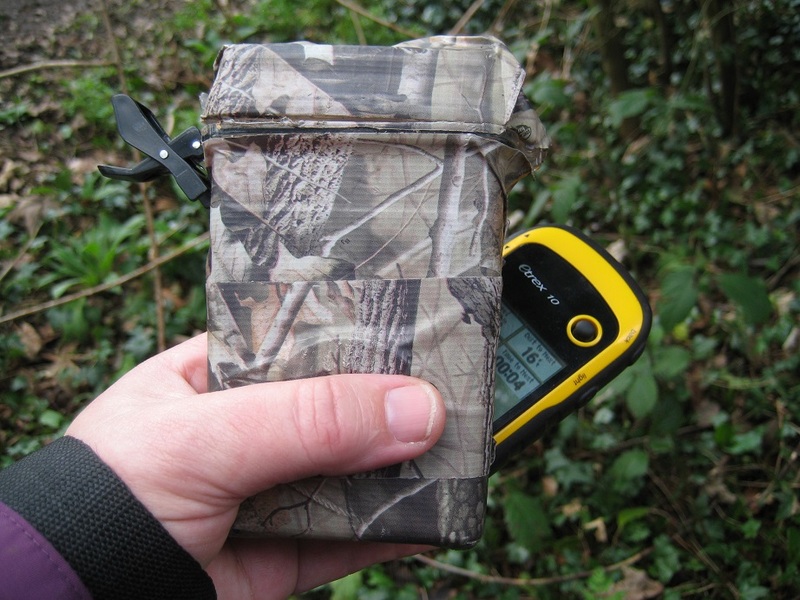 Like us, most geocachers find fewer caches in the winter than the summer because the weather is darker, colder, and wetter. We went on along the river, enjoying the sunlit morning, seeing mist rising from the river, and watching the local birdlife – ducks on the river and, once, a jay. 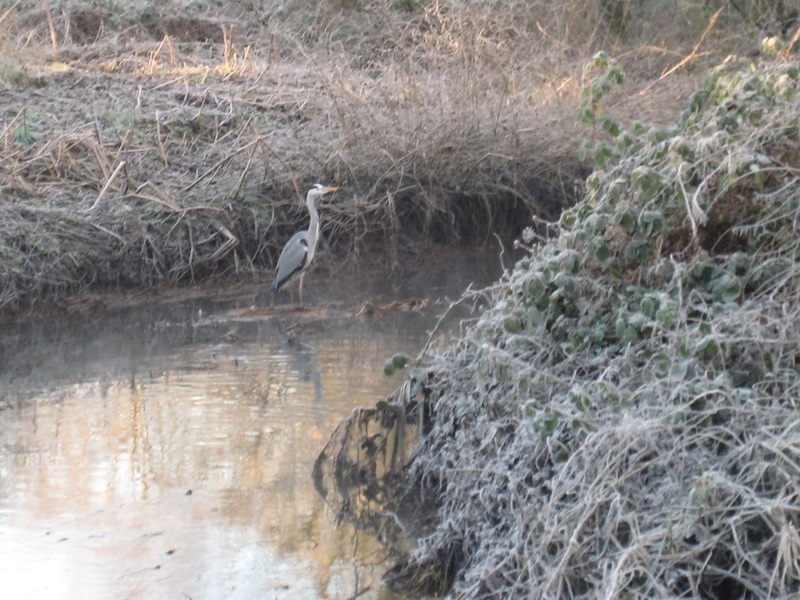 We stopped to watch a heron – I was so engrossed in taking pictures that I failed to spot a cyclist coming along and nearly got run down… The next two caches were along the riverbank, among trees or a sign overlooking the river (just a bit of creaking from the fence as Mr Hg137 climbed up to collect it). Soon after we left the Blackwater path to climb up onto the Basingstoke Canal. At last our direction was altering, and more in line with our quest; thus far we had been going south, to skirt the nearby, off-limits, army ranges. Just as we reached the foot of the canal aqueduct there was a flash of turquoise, then another – a kingfisher! What a great farewell to the river! Once up on the aqueduct, we turned aside a few yards to look for the first of three caches in the ‘Oddballs 1st Mission series’. We found it, but it was leaky and the log was frozen stiff, and we couldn’t remove it from the cache, let alone sign it. 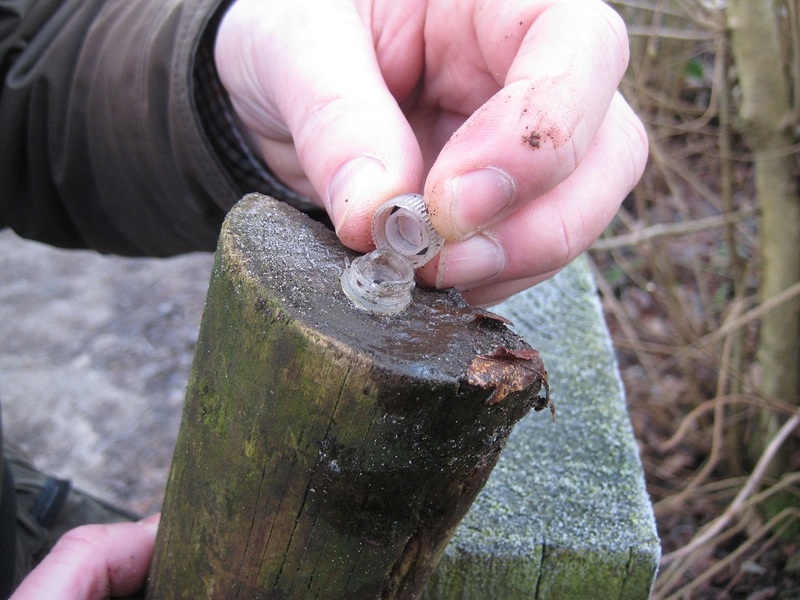 We did little better with the next two caches, also from the same series, which we couldn’t find at all – some TLC is needed for those caches methinks. A new friend for Mr Hg137! A coffee break was taken. 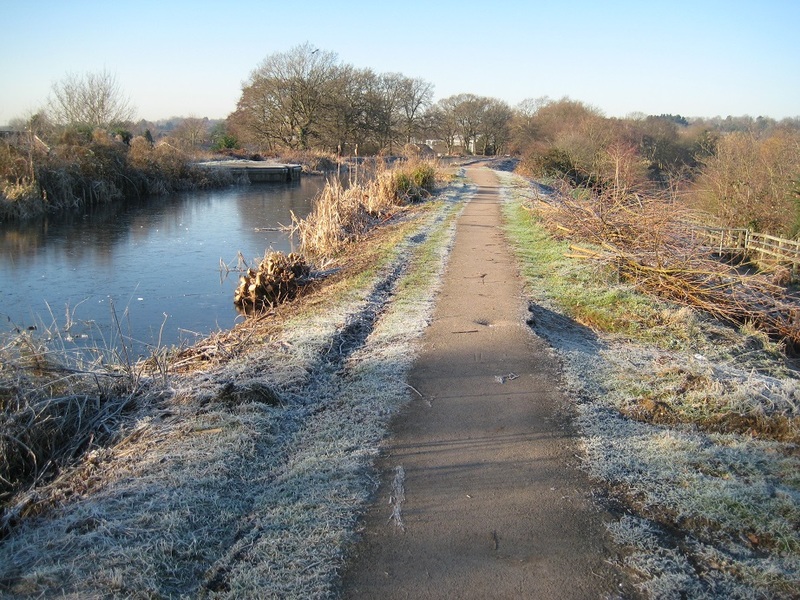 It felt pleasantly warm in the bright sunshine, though the ground was still frozen and the canal icy. 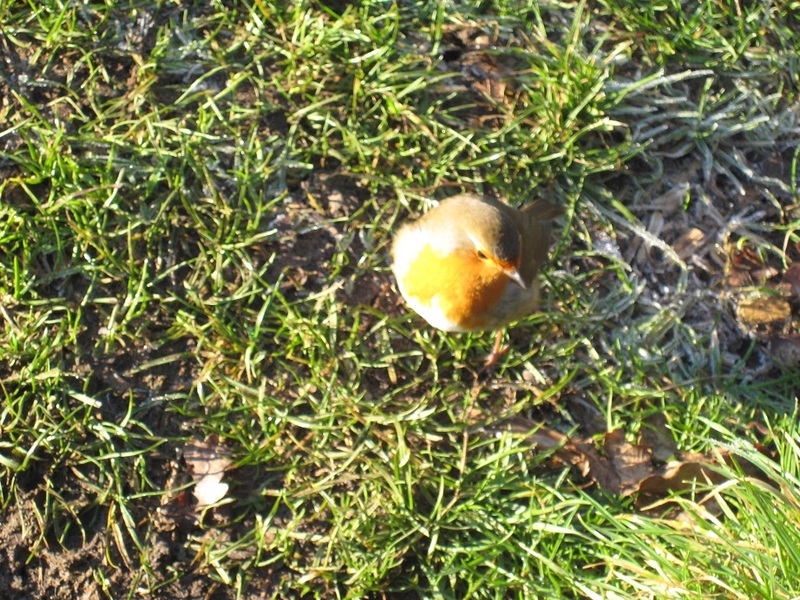 Almost immediately a robin appeared and took a fancy to Mr Hg137. I thought it was the red bobble hat which was the attraction … We succumbed to its blandishments and fed it part of our lunch. Leaving the canal soon after, we walked down through Ash, passing the striking church (why isn’t there a Church Micro cache here?) and eventually turned eastward along a green lane. At last we were heading in roughly the right direction! Along here, we came across three caches all from the same series – based on Italy – Rome/Venice/Pompeii – all very similar neat, tidy caches, mostly not found for a bit. 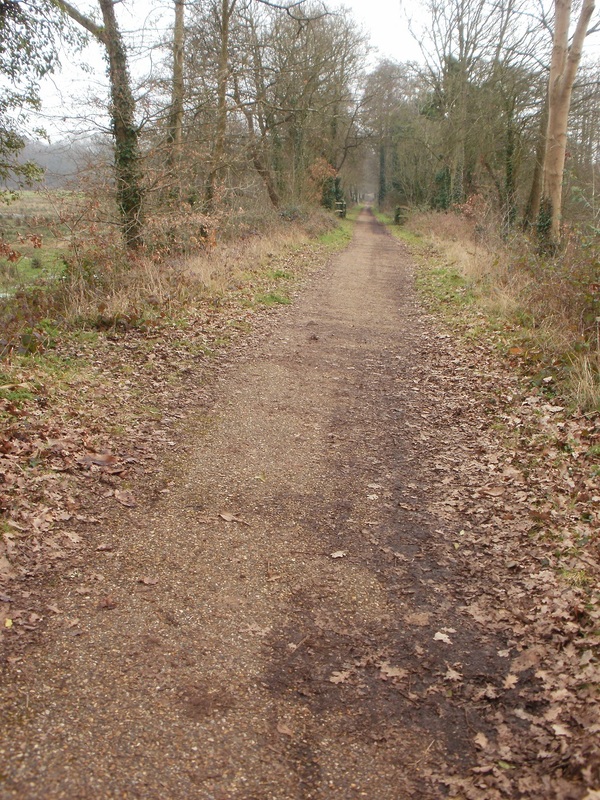 The path changed to a track, then to tarmac, and we were at ‘Christmas Pie’. A good name for a place! There was a puzzle cache here based on information to be found on the village sign. We worked out the puzzle but couldn’t find the cache. We’ve checked our results later, and they were correct, so maybe we’ll stop off for another try at the start of our next walk? Wanborough station was a little further on, the end of the day’s walk. 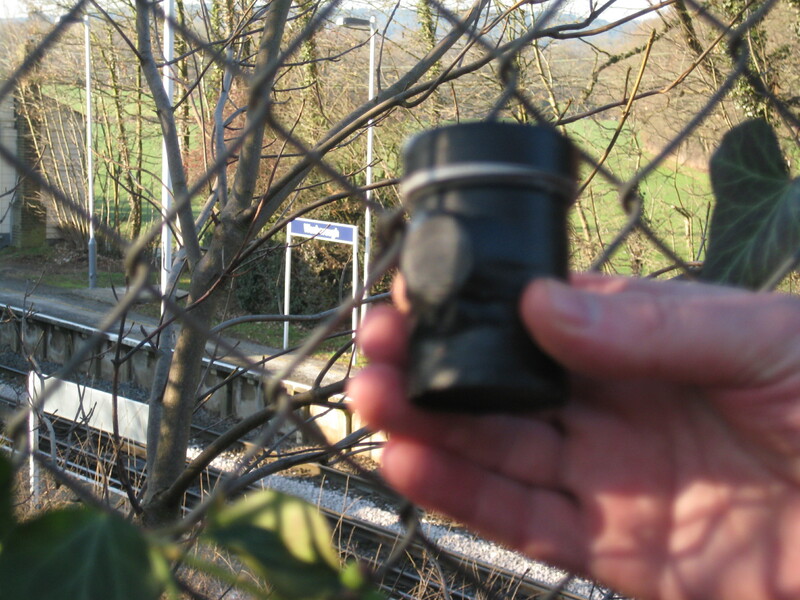 There was one more cache here, overlooking the railway line, from the ‘Sidetracked’ series (they are near stations). A short wait later, the train took us back to North Camp and the start of our walk. In a few minutes, we retraced a route which had taken us a few hours to travel on foot. 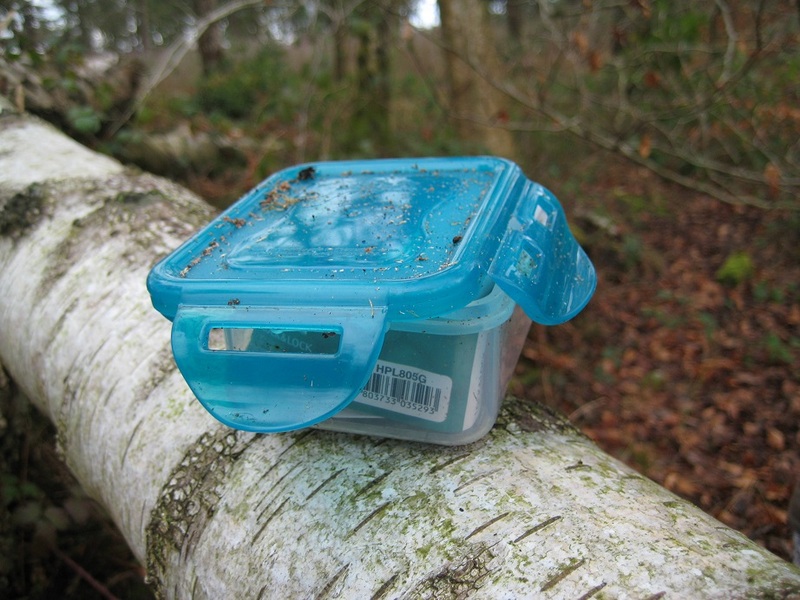 Normally when we blog about trackables, we blog about those we have found whilst geocaching, and those which we are moving on for their owners. 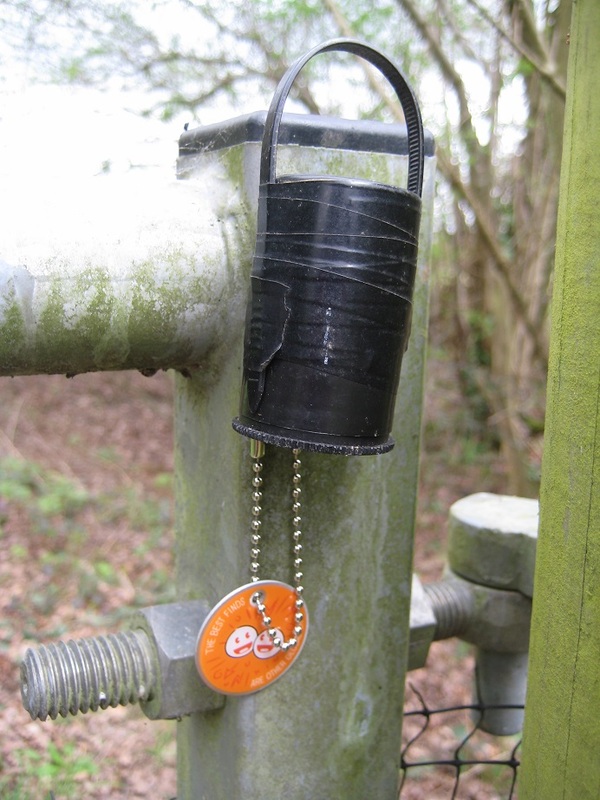 The Sandhurst Geocachers Trail Trackable is different. 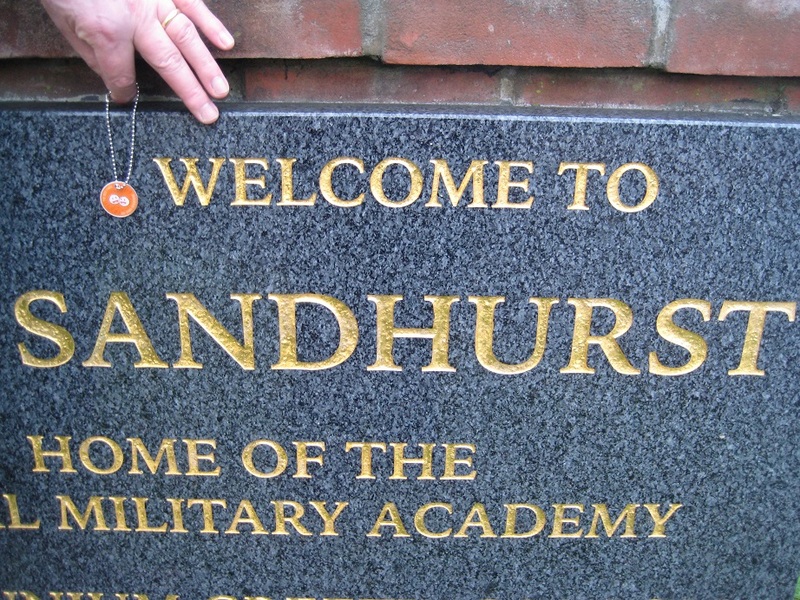 We are using it to show our progress on our ‘Sandhurst to Sandhurst Quest’ we described earlier this year. 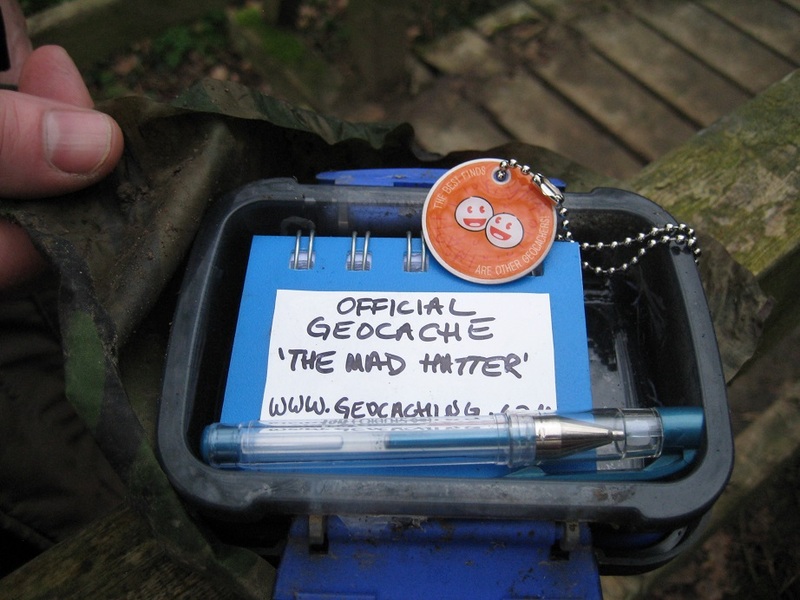 For those that are not aware, when a trackable is logged into a geocache location, it produces a marker on the trackable’s location map. As the trackable moves from geocache to geocache these points are joined up into lines and the lines can become very big indeed. 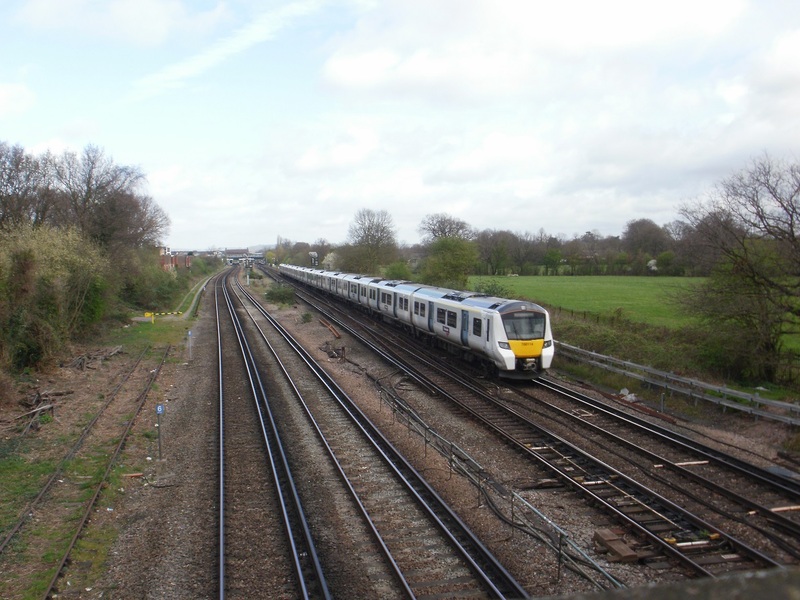 For example a trackable that starts its travels in London, visits New York, then Sydney, then Mumbai, then Munich would have lines wrapping across the whole globe. The problem with these lines is that they are the shortest distance between cache to cache. Most geocachers don’t travel in straight lines cache to cache, so the distance associated with the lines can be a bit distorted. Each numbered location is a cache we have visited (or attempted to visit). 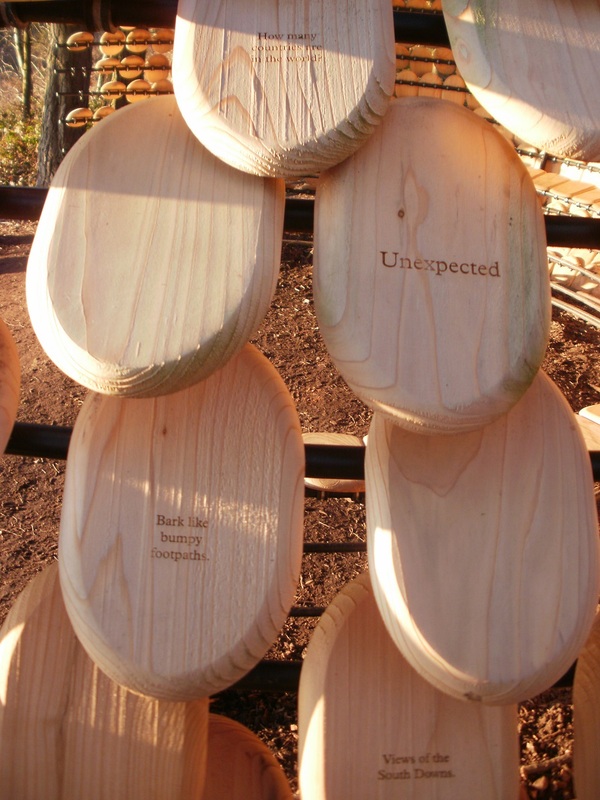 At each visit will generate a ‘trackable dip’. 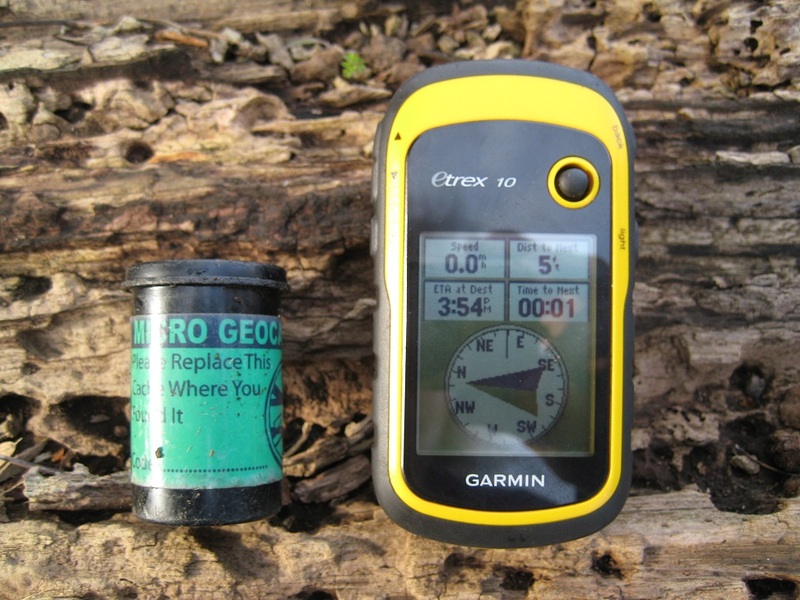 The more caches we ‘dip’ along our way, the more accurate our mileage will be. We may also include a couple of cache ‘dips’ off our route (providing we find the cache of course), to add some mileage into the route. This will (hopefully) compensate for any shortages generated by the cache-to-cache route shown on the trackable map. If this sounds very confusing, don’t worry. 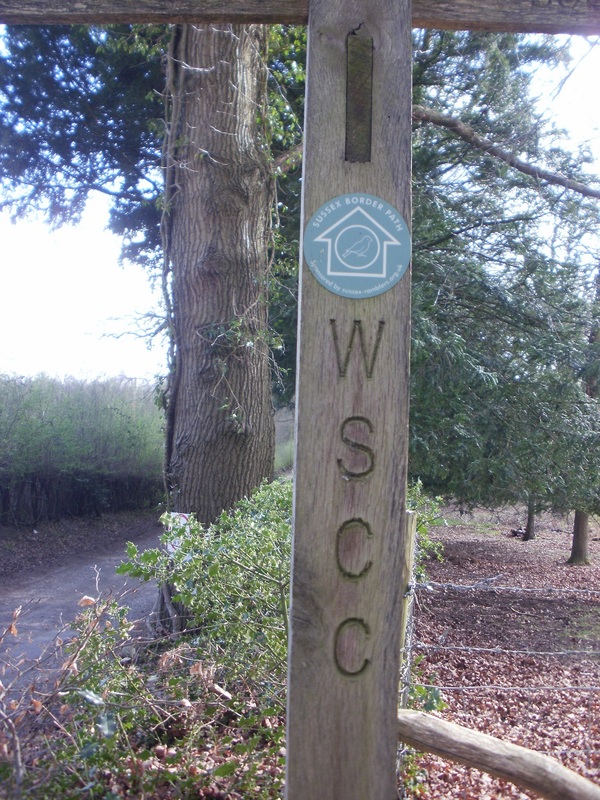 click on the map and watch our progress… we are aiming for Sandhurst (Kent) approximately 60 miles SE from our start location, a little further on from Royal Tunbridge Wells and a just beyond a reservoir that has a tripod shape!